#IndiansOfAtlanta is our attempt at building an archive of local Indian-American stories, one story at a time. Help us popularize this feature by sharing this page on social media with the hashtag #IndiansOfAtlanta. If you’d like to be featured in Indians of Atlanta, write us at editor @ nripulse.com (remove the spaces) with ‘Indians of Atlanta’ in the subject line. “My brother Sid Vahal received a double lung transplant when he was 26 years old. At 29, he passed away due to complications. Sid was a big, strong guy who never got sick. Soon after his 26th birthday, his health began declining and both of his lungs collapsed. Sid fought for his life as he kept getting rejected by hospitals for a lung transplant. He was too acute of a case. They didn’t think he would survive the transplant. Then, Dr. Hoopes, a surgeon, flew down to Atlanta from the University of Kentucky hospital to see him. Despite Sid’s weakened state, Dr. Hoopes accepted him. Soon, Sid was put on a medical flight to Lexington and admitted into the University of Kentucky hospital. It took months for Sid to recover but eventually he was back home and learning how to live life with borrowed lungs. Unfortunately, after 2.5 years, Sid’s body began rejecting his new lungs and he was hospitalized again. This time, because of his weakened immune system, Sid caught infections in the hospital and his body went into septic shock. He went into a coma and never returned. On May 18, 2014, Sid passed away. Sid’s family and friends will forever remember his bravery as he fought a battle against his own lungs. Sid was a fighter and he inspired everyone with his courage. The reason Sid’s lungs gave out in the first place is still a mystery. Due to his unusual circumstances, the treatments that Sid received in order to survive were cutting edge treatments practiced by some of the greatest doctors in the world. Although Sid’s life was cut short, the amount of knowledge that doctors gained from his case will continue to help other patients like him in future. On May 18, 2015, my parents and I decided to start The Sid Foundation. We created this nonprofit to raise funds and awareness for lung transplant research and to keep Sid’s memory alive. Sid was a fun, loveable guy with a big personality. He was also an artist who loved comic books. Inspired by Sid’s passion, I wrote the story of Lung Girl and with the help of an artist turned it into a comic. Lung Girl is a fun and educational comic about lung issues and all of the proceeds from the comic go to The Sid Foundation. The first comic came out in March 2016. The second comic is in production right now. I partnered with artist Loso Perez from Prime Vice Studios for this comic coming out fall 2017! Ananya Vahal is a writer. The purpose of her writing is to represent the Indian-American community and tell our unique stories through essays, social media, and comics. “My son always made it known how much he loved me. He said he couldn’t imagine life without me. But it turned out the other way around. It’s hard to put into words how devastating his illness was for me. He spiraled downwards fast and was taken from us too soon. He never left the ICU and once he was intubated, he never spoke again. I didn’t get to hear his side of the story- how he felt, what he wanted. This was so hard on me but I cannot imagine how hard it was on him. I told him I loved him everyday. Premil was focused; he had lots of dreams. 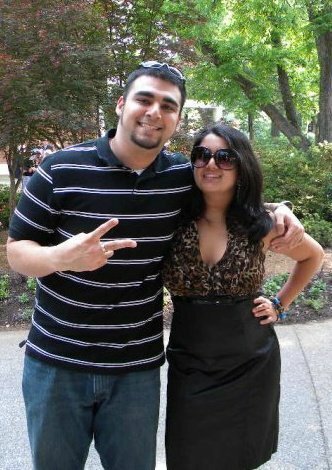 He had recently started working at Deloitte after graduating from UGA, with the hopes of pursuing an MBA. When the doctor told us of a tumor near his heart, and that he would get worse before he got better, he was momentarily scared. But within a few minutes, he regained his strength. He started talking about his work and career. Even the day I took him to hospital, all he was thinking about was his work. He said he didn’t want to take the whole day off and he would go back after the check up. My son was, is, and will always be my life. He taught me so much about finding strength when faced with challenges. He is my motivation to participate in this fundraiser. I know he would have wanted to do everything to prevent another person from enduring pain and suffering. I am a mother trying to help other mothers. My goal is to raise awareness about cancer, especially AML and germ cell tumors. Cancer diagnoses can be very tough. It took 3 weeks to figure out what my son had, and even when we knew, there was almost nothing that could be done for him. Cancer is beyond devastating and affects all ages. I want to help prevent another person from suffering and prematurely passing away because we don’t yet have a cure for this horrible illness. Everyone wins when cancer loses. Premil Patel was 22 years old when he lost his battle against acute megakaryoblastic leukemia and germ cell tumor in November 2016. 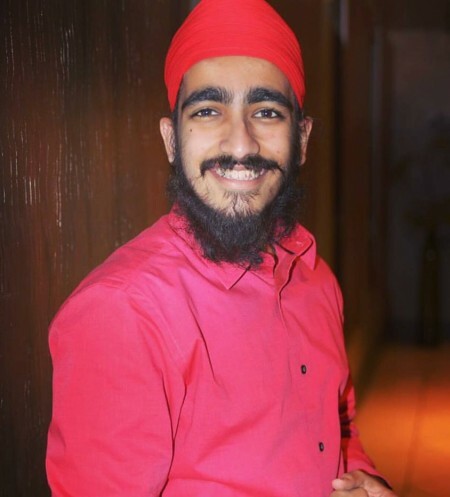 His mother Prina Patel is driven by his memory to participate in a fundraising campaign for the Leukemia & Lymphoma Society’s Man or Woman of the Year. She is part of team #oneinaPREMILlion and is working to raise as much as possible in a 10-week period. Every dollar raised counts as one vote and the candidate who gets the most votes/raises the most money is named the Man or Woman of the Year. With the funds raised, she hopes to support a grant for research in honor of Premil. “In 1997, a little after I moved to the USA, I met the mother of a Tamilian friend. I could not communicate with her, except for greeting her with folded hands, because she did not speak any Hindi or English, and I did not speak any Tamil. That incident made me realize the importance of having a common language to communicate, and ignited in me the drive to promote Hindi through theater. In 2006, I presented a small skit at a function for the Senior Citizens Group in Atlanta which was well received. This led me to think of having a theater group of our own. Theater is powerful medium of self expression and life is a game of ups and downs (Dhoop & Chaoon). In the 10 years since the inception of the group, we have been able to create our own identity in our community. We have reached a stage, where, for the audition of the Bollywood movie Simran, 90 % of our members were present. I am my own inspiration. I write most of my plays/skits on subjects like social problems, communal harmony, immigration, entertainment etc, each with a powerful message. It is very challenging doing theater. It is driven by passion, and without any earnings. There are times when I wonder why I am doing this! When we have a show, for four months, this is all I do, day in and day out. Coordination can be very tiring and affect your daily routine drastically. After each show, I think this is the last one. But after a few months, I start all over again with new vigor. Finance has always been the biggest hurdle in doing our shows. Even with a nominal ticket price of $10, not many people attend. This hurts me a lot. South Asians contribute generously to religious establishments and are always ready to pay top dollars to view performances by Bollywood artists. These people should support people like us who present healthy entertainment for everyone. We keep a donation box during the show, but it mostly remains empty. We spend our own money to do our shows. 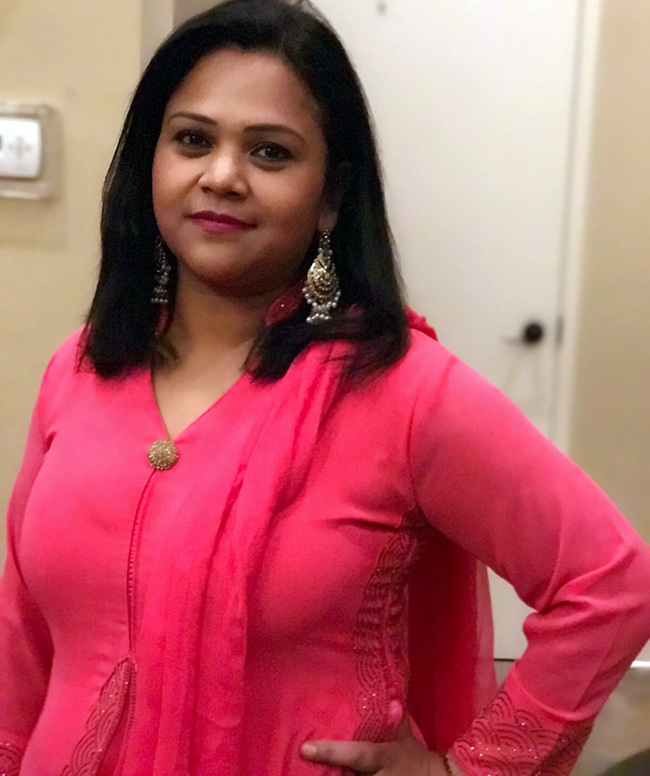 Sandhya Bhagat is the founder of Dhoop Chaaon theater group, Natkhat Rangshala, a Hindi theater school for children and Hindi-Urdu Sanjhe Bol, a platform for poets of the two languages. She is also a co-founder of Dhoop-Chaaon, a Hindi short film production company which has produced two films so far- “Natkhat Rangeelay” and “Ye Aurtein bhee kya bla hain”. Bhagat is supported in her endeavors by her husband Anil Bhagat and two sons, Gandharv and Kartikay. “I knew I wanted to be an entrepreneur since the age of 14. And, there couldn’t be a better place than America to fulfill my entrepreneurial dreams. This country offers opportunities to grow as a professional and as an entrepreneur, and I had the opportunity to make the best use of them. I came to US in the year 1998 on an H-1B visa. The obvious choice was to get into a software job, but my long term vision was to become an entrepreneur. With help from my brother Murali Sajja, I started to pursue my vision from the time I landed in Atlanta, and the outcome is Paramount Software Solutions, Inc. I am not sure how everyone defines success, but for me, success is adding value to anything you do in life – personal or professional. When you add value to both areas of life, success comes naturally. The other key to success is to constantly evolve, based on the changes around you – if you don’t evolve, you don’t grow. My mantra to building a strong business is to create a brand first. Profit is the by product. In my 20 years at Paramount, I have seen various ups and downs in the industry and the economy. The tough times helped me learn to evolve. There are other challenges, like making choices – which is always tough for anyone- but when you learn to prioritize, making choices becomes easier. With the current changing times of businesses globally, I am sure we will face a lot of challenges again. But also, there will be opportunities to learn. My confidence and the ability to face challenges are derived from my mother who successfully managed work and home life while battling a life threatening disease. I don’t think anyone on the face of this earth could have done what my mother did for all her kids. I wake up every morning with the same zeal and enthusiasm that I had during the early days of Paramount. I ensure that the Paramount family comes to work happy and leaves happy. Employee relations play a vital role in the growth of any company. Employee satisfaction is at the core of Paramount’s philosophy. Pramod Sajja started Paramount Software in 1998, at the young age of 26, when most professionals only start thinking of a career. His understanding of the industry was a driving factor to start this venture single-handedly. Paramount today has 200 employees. “My father, some time after he got married, left with his new bride for Dar-es-Salaam,Tanzania in 1929, to teach in a secondary school. I was born there. As a child, I was not conscious about identifying either as Indian or Tanzanian. I had not been to India then, so there was no question of missing it. When I was 9, my parents moved to Nairobi,Kenya, which was then part of East Africa and a British colony. Growing up in Nairobi was just like growing up in India. My neighbors were all Indians, so we played gilli-danda, hu-tu-tu, marbles, rode bicycles, climbed trees, swam in ponds, stole fruits and flowers from neighbor’s gardens and engaged in all kinds of pranks. Colonial rule in Kenya was very much like that in India. It was a three-tier society. Europeans at the top, Asians in the middle and blacks at the bottom of the rung. Housing, education, employment, etc. were segregated along racial lines. Indians initially helped build the railways and later, as they were not allowed to own land, virtually monopolized the retail trade, by setting up ‘dukas’-small shops even in the remotest interiors. The lower-caste Indians worked as masons, carpenters, tailors, car-mechanics, etc. The literate ones found jobs in civil service, teaching and other professions. Indians didn’t have a voice in politics, but before independence, they advised and supported Africans in their struggle for independence from colonial powers. However, Indians were often accused of looking down upon Africans. One black politician called it ‘cocktail integration’ because Indians interacted only at parties! On the whole, however Indians have contributed immensely in the development of Kenya. They are also known for their philanthropy. The Indian community then comprised of Gujaratis, Sikhs, Ismailis, Bohras, etc. For a majority of Indians, cinema, sports (mainly cricket and hockey) and picnics were the most popular pastimes. Festivals like Holi, Diwali, and Krishna Janmashtami were celebrated with full fanfare. Trips to the coast at Mombasa and Zanzibar and safaris to watch the wildlife were also enjoyable. Cricket teams were along community lines. The Patels, Sikhs, Muslims, Shahs, Goans etc had their own teams, as did the Europeans. Inter-club matches and knock-out matches aroused lot of passion among players as well as spectators! I was an avid cricketer, which probably helped me integrate well when I went to college in Bombay. I represented my college in inter-college matches! I graduated from Sydenham College in Bombay (Mumbai). It took 12 days to travel from Mombasa to Bombay in a steamer, and I remember making those trips several times as a student. I returned to Nairobi, got married, did a few jobs with an attorney’s office, an accountant’s firm, with the IRS, at an advertising company, etc. Life in Kenya was tough in the beginning as we had no car, telephone or domestic help. Slowly things got better. After independence in 1963,Kenya was short of teachers. I always wanted to teach, so I took the plunge. I went to London for a post-graduate degree in teaching commercial subjects, returned to Nairobi and taught Business subjects at Kenya Polytechnic, to Asian and African boys and girls. Teaching and journalism are the most fulfilling and rewarding parts of my career. After Uganda’s President Idi Amin expelled the Asian minority from Uganda, my wife and I decided to leave with our teenage daughter for London. The mood was panic and disappointment. Indians contributed a lot in developing Africa. There were some crooks who exploited the Africans but that was no reason to punish the whole community. Amin was a crazy military dictator so he was ruthless not only with Asians but even Africans. I was very sad not only because I was leaving Kenya, but also because I was leaving my aged parents and family. I had to struggle to find a job in London. My wife who was a housewife in Nairobi, also began working. My daughter had problems adjusting to studies in a British school. But she graduated from her secondary school, went to the US and earned her nursing qualifications. Mahadev Desai is a prolific freelance journalist. 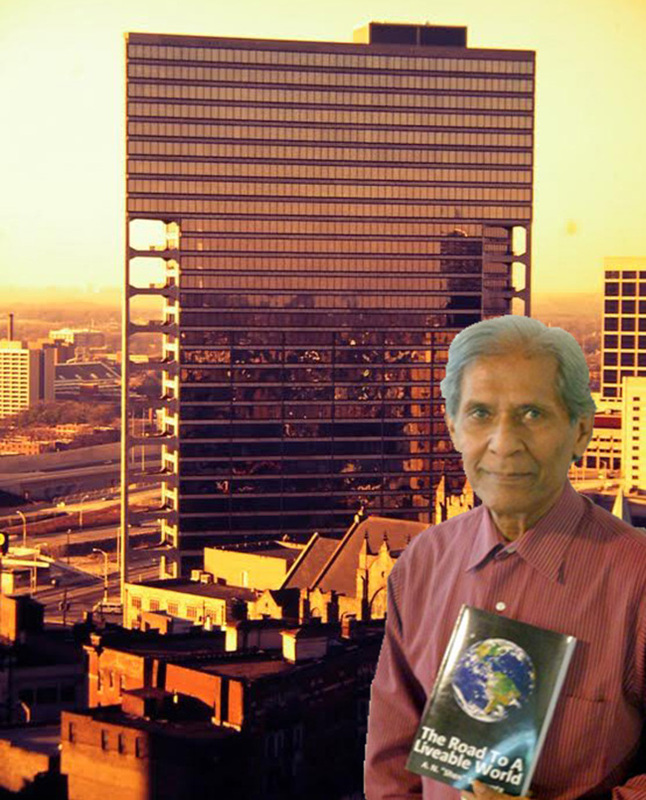 His reports on community events, literary reviews, short stories, humor pieces, profiles of prominent community members, movie and play reviews have been appearing for over 20 years in India Abroad Newspaper; India-Today Magazine, Khabar Magazine, India Tribune Newspaper, NRI Pulse Newspaper Atlanta Dunia and other community publications. I still wonder what childhood is like, because I did not have one. I lost my mom at age 12, when I became a mother to my three younger siblings who were only 9, 8 and 4 years old then. My dad, a civil engineer by profession, was posted in Bihar, while we children lived in Faridabad. We were left alone in a big house, and it was scary. I was responsible for cooking, cleaning, and the laundry. There were no dishwashers or washer dryers in those days. I used to do my homework after first helping my brothers and sister with theirs. I was often tired, and fell asleep at school. My dad implored relatives to come stay with us, but no one turned up to help. This went on for a few years until dad was transferred back to Faridabad. Then we weren’t alone anymore, but that did not reduce the work load. Along with studies, my sister and I still cooked and cleaned. My teenage years seem to have slipped past me. I think my hardships and my struggles have molded my outlook towards life, as also my father’s love and care. When I heard of my friend Preeti’s stage 3 cancer diagnosis, my only thought was that it can happen to anyone. Life surprises us in good and bad ways. I think it is our responsibility to support each other during bad times. I am a mother of 2 little kids, and have a full time job. Sometimes, I felt helpless because I wasn’t able to do as much as I wanted to. So, I started a Facebook support group for Preeti. I contacted all my Facebook friends and requested them to bring more people to help. We went to temples and gurdwaras to gather more support. We organized a big get together at my neighborhood club house where I introduced Preeti to everyone and familiarized them with her situation. Help began to pour in. We created an online calendar where people picked slots to bring food, and for her rides to the hospital. It made me realize there are so many good people around us. Honestly, I don’t think I have done anything award worthy. It is a big honor that Raksha recognized my work with the Ramesh and Vijaya Bakshi Community Change Award. It motivates me to keep going. Meenakshi Chugh is a pharmacist by profession. She has lived in Atlanta since 2004 where she met her husband. She is mother to a 10-year-old daughter and a 4-year-old son. She is now learning Kathak, a secret passion that she had to quit when her mother passed away. She is the recipient of the 2016 Ramesh and Vijaya Bakshi Community Change Award from Raksha Inc.
“Some of us are born with an innate desire to travel far lands and to immerse ourselves in new experiences. I think I was born with the wanderlust bug. During middle school in Mumbai, I loved Geography. I endlessly dreamed of living in the grasslands, the tundras, and amongst the Eskimos in igloos. As a high achiever in high school and college however, I focused on academics, majoring in physics, and continued my journey to the United States for my Master’s degree. Then came family and raising a wonderful daughter. After my daughter started college at Emory, I decided it was the perfect time to embark on a 6-month solo gypsy adventure. The book, “States of India”, that I read in my 7th standard, beckoned me to go and first experience the country I called home. The tundras would have to wait a bit more. Despite fears of traveling alone, I left for my adventure. I commenced the trip in the middle of the Ganesh Chathurthi festival in Mumbai. Then followed Onam in Kerala, a trek up the Dzongri Peak in the Himalayan range, monasteries in Gangtok, Sikkim, tea estates and a toy train ride in Darjeeling, Durga Puja and involvement with the Calcutta Rescue Clinic in Kolkata, the history of ISKCON in Mayapur (a very clean town), Diwali, Bhai Dhuj, Danteras in Jaipur, a camel ride at dawn at the annual camel fair at Pushkar, Rajasthan, Guru Nanak Jayanthi in Gurgaon, an aborted trip to Delhi. The trip also included catching up with schoolmates at a reunion, some IT training in Bangalore, mingling with the Todas, a tribal community in Ooty, watching elephants being fed vitamins in an elephant camp in Mudumalai and a visit to my birthplace Ulundurpet, Chennai. The highlight of my trip was the Dzongri peak at 4200 meters. At the peak, it felt like being close to the gods. You come back shedding weight and skin and gaining clarity. (Check my fb page umaIndiaYatra for photos). I will go back to travel through parts of India I could not make it last time. Uma Lakshman moved to Atlanta from San Diego two years ago and feels very much at home here. She has a bachelor’s degree in physics and a master’s in computer science from Marquette University. Her solo back-packing trip through India culminated in the launch of BigBanglesTheory.com, which combines bangle theory with string theory to bring beautifully crafted handmade bangles. 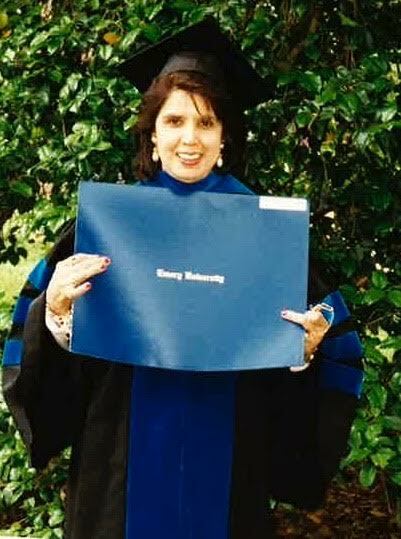 “I earned my Ph.D. at age 60. Each of us has something we yearn for intensely. A postgraduate degree was a burning passion of my heart, an irrepressible inner urge of my soul. After earning a Master’s degree in English from India, I came with my family in 1968 to America, the land of golden opportunity. My career-dream was temporarily put on hold because of two major milestones of my life: motherhood, and migration. However, the flame of learning within my heart continued to burn gently and steadily. My late erudite father raised me to value words, ideas, literature, and philosophy. Going to a library for me was akin to going to a temple. Hunting for books, reading for the sake of study, writing, and teaching ran deep in my veins. A dream in itself, though, is not enough. Preparing the soil, weeding, watering, and fertilizing are crucially important chores for the promise of a fruitful harvest. In my case, I increased my educational repertoire by taking journalism classes at Georgia State University and launching the quarterly Voice of India publication. Ultimately, at age 50, I succeeded in gaining admission to Emory University’s doctorate program. Yes, it was rather late, but I did not wish to live my life burdened with the regret of not even attempting to fulfill my dream. Just as Shakespeare said, “the course of true love never runs smooth,” the process for my Ph.D. was arduous, challenging and even outright frustrating. After working on my dissertation for nine hard years, I faced an unexpected health emergency, as did two of my three advisors. As I struggled with breast cancer while simultaneously struggling with my doctorate research, I was on the verge of giving up. My faith and determination ultimately paid off when, on one glorious day, I donned my cap, gown, and hood and received my Ph.D. in front of cheering family, friends and well-wishers. 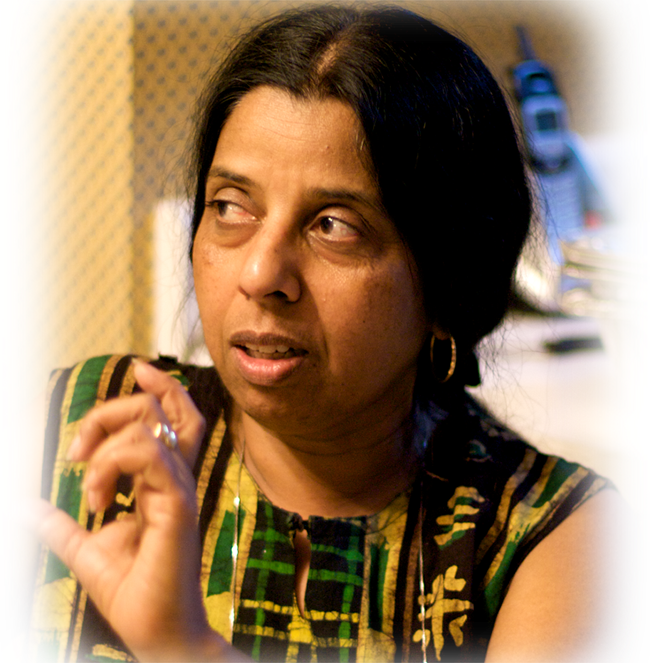 Dr. Uma Majmudar moved to Atlanta with her family in 1971, where she founded and edited Voice of India, a quarterly publication for the India American Cultural Association (IACA). She earned her Ph.D. in 1996 from Emory University with a dissertation on “Mahatma Gandhi’s Trajectory in Truth and Fowler’s Theory of Stages of Faith.” She authored a book, ‘Gandhi’s Pilgrimage of Faith: From Darkness to Light’, which was published by the State University of New York Press (SUNY, 2005). Dr. Majmudar taught as an Adjunct Lecturer in the Religion Department of Emory University and was a full-time lecturer in the Religion and Philosophy Department at Spelman College in Atlanta, Georgia, where she will teach again in spring 2017. In 2006, Dr. Majmudar was inducted into the Martin Luther King Jr. Collegium of Scholars of Morehouse College in Atlanta. Her articles have appeared in various American and Indian-American publications. “During my second pregnancy, I gained a lot of weight and was having trouble losing it. I didn’t have much knowledge about exercise and fitness and started researching. I came across a weight loss program that involved weight training and cardiovascular exercises along with eating several small nutritious meals a day. I followed the intense program working out at home – 3 days of weight training and 3 days of cardio with good nutrition. I also learned to modify my favorite Indian foods and prepare healthy dishes. In 3 to 4 months, I saw my physical transformation take place. I dropped several dress sizes and in the process developed an appreciation of the true benefits of weight training along with eating healthy. I was hooked! 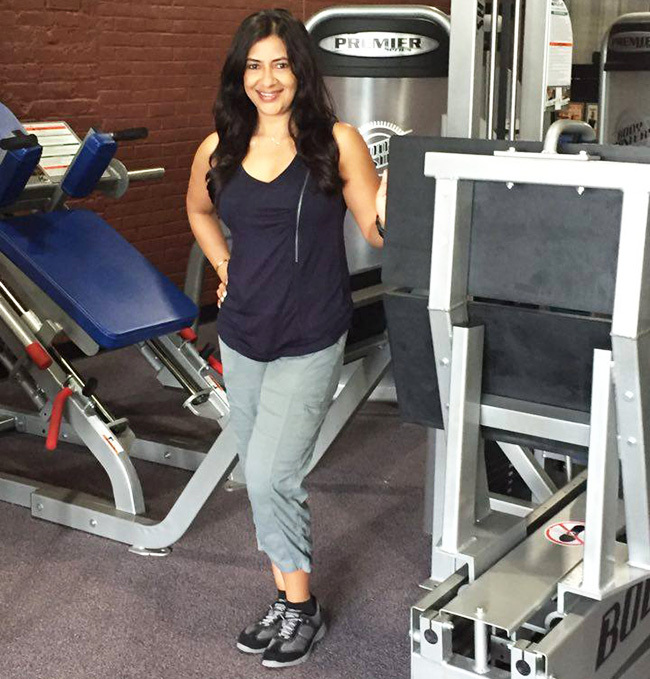 Aarti Patel is the owner of Aarti Fitness, a personal training studio in Chamblee, GA.She is certified by the American Council on Exercise as a Personal Trainer, Group Fitness Instructor and Health Coach. At the age of 40, she became the first Indian woman to compete in a national body building and figure fitness competition. She is also the Fitness Columnist for Khabar Magazine. “One summer day in 1994, when I was the President of Kannada Koota, I was shocked to hear from a friend that there was an Indian woman sleeping next to a dumpster in a strip shopping center. The next day, my wife Vijayalakshmi and I went to the strip mall and spoke to a store owner who confirmed that he had seen an Indian lady sleeping next to the dumpster and he was concerned for her safety. A few minutes later, luckily, we saw her walking towards the dumpster. I rushed to talk to her, but she would not talk to me. Seeing her uneasiness, Vijayalakshmi started a conversation with her. The lady told us her story. 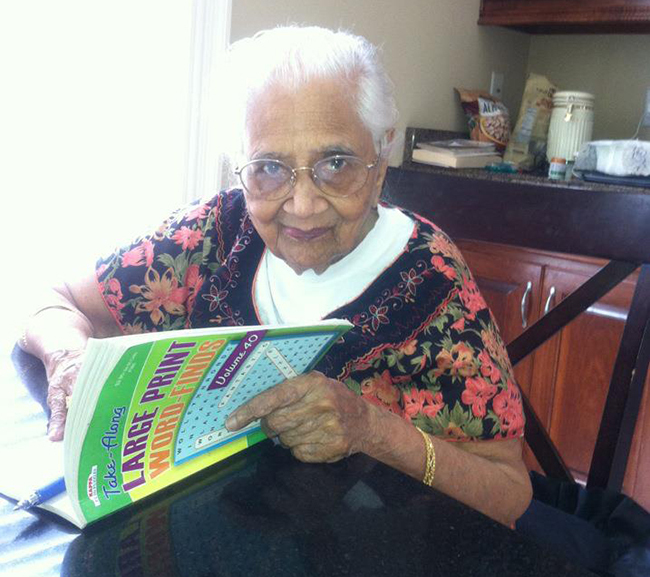 She was a physician from India, but had not completed her medical requirements to practice in the US. She had two small children. Her husband had divorced her and taken custody of their children and their house. She had no place to go and no family or friends she could turn to, so she ended up sleeping on the streets. She had gone to a women’s shelter, where most of her belongings were stolen, so she returned to the streets again. She had pawned some of her jewelry to survive. Both, my wife and I were in a state of shock and disbelief that this could be happening here to a member of our own community. We promised to get back to her in a couple of days. As soon as we returned home, we started calling our friends, various associations and even the temple to see if they had any resources to support and house this unfortunate lady. There were none. One of our friends offered to put her up in his motel until we could find a solution. Vijayalakshmi coordinated with her friends to cook food and take it to her on a daily basis. In the meantime, our friends raised enough funds to buy her a one way ticket to India so she could go live with her parents. Years passed. Then one day in 1998, around 2 am, I received a call from a police precinct in Atlanta informing me that a lady wished to speak to me. To our surprise, it was the same lady whom we had helped a few years back. She had returned to Atlanta after her parents had passed away and she wanted to be close to her children. Through the help of some friends, I was able to place her in a motel for a few days. Unfortunately, our community did not have any resources to help a person who was in this type of need. I had heard of Raksha, the Georgia based non-profit that supports victims of domestic violence, and reached out to them. To my great relief, they were willing to help. Raksha found a shelter for the lady to stay in and arranged for a social worker to assist her in getting back on her feet. A few years later Vijayalakshmi met the lady in a grocery store. She looked healthy and seemed to have her confidence back and was able to support herself. Thanks to the efforts of Raksha and our friends, we were able to help one unfortunate lady stand on her feet and gain independence. Ramesh Bakshi came to this country in 1965 in the pursuit of higher studies. He did his Masters in Industrial Engineering, then went on to get an MBA. In 1968, he went back to India to marry his childhood sweetheart, Vijayalakshmi Sarvepalli. The couple moved to Atlanta in 1977 with their two young children. “My life revolves around animal rights. There are many who help humans, but very few who understand animals and their needs. I have always been a compassionate person and jumped into action whenever anyone needed help, but growing up in Bombay (Mumbai) there wasn’t much exposure to animals. It was only after I adopted Kiwi, my first dog from our local shelter, that I realized how vulnerable and innocent animals are. I became an animal lover, then an animal activist and a vegan. Humans and other animals have many similarities, despite our differences in appearance, forms of communication and ways of living. As feeling beings, we are united by our desires to seek pleasure and enjoyment, and to avoid pain and suffering. Animals have the same birthrights we claim for ourselves—the right to live our lives free of subjugation and institutionalized violence, where the random and special joys of being alive can be experienced. Within a year of adopting Kiwi, I started going to local protests and soon found myself involved in organizing and leading them. Seven years ago, I saw a TV program on dairy cows on ABC. The atrocities on cows and calves were beyond imagination and I turned vegan overnight. Until we have the courage to recognize cruelty for what it is, whether its victim is human or animal, we cannot expect things to be much better in this world. By every act that glorifies or even tolerates such moronic delight in killing, we set back the progress of humanity. Sarita Raturi is an animal rights activist. 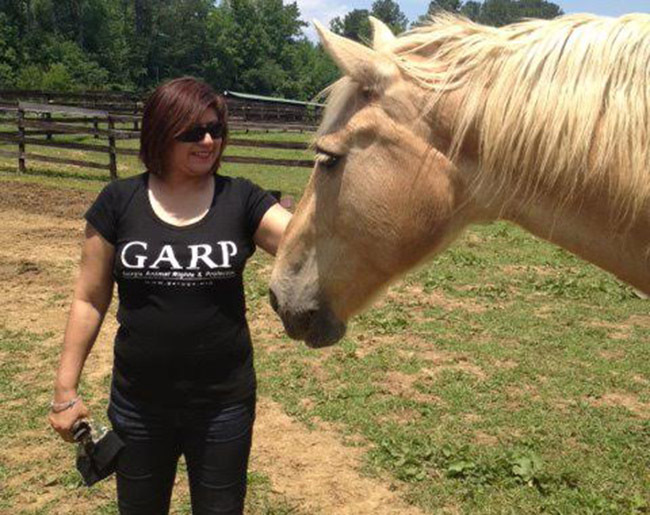 She is on the board of Georgia Animal Rights & Protection (GARP) and In Defense of Animals (IDA,India). Both are 501C non-profit charities. IDA,India is a part of IDA,USA and their mission is to protect the rights, welfare and habitats of animals. Sarita is also a business woman, wife and mother. “Growing up in a traditional Indian family can be confining. Dating, going out to parties, and other “normal” American things were not really a part of my childhood. So when it came time to choose a college, I had one criteria: it had to be as far away from home as possible. I chose Seton Hall University, a private Catholic university in New Jersey. It was probably the worst decision I have ever made. A $33,000 a year tuition was just too much for a middle class family to pay. I intentionally put myself in an unfamiliar and uncomfortable situation, as I didn’t know anyone in New Jersey and also struggled with food, being vegetarian. I learned a lot about myself that year, but again that price tag was unsustainable for a middle class family. The following year, an opportunity came up to study in Belgium at 1/6th of the cost and I simply could not pass it up. It was there that I met my wife, Rangadevi, a Dutch woman who coincidentally was born in India. Europe showed me things I had never experienced before. People were financially savvy, physically fit and generally lived a healthy lifestyle. Bikes and trains were the preferred method of transportation, and the government highly encouraged them. Their transportation was very efficient; I could go from Brussels to Paris or Amsterdam in only a few hours via train. Wind turbines and solar panels were implemented everywhere. Workers got a month of paid vacation, homelessness wasn’t a huge problem, and crime is not a major concern. Generally, the people there are happy. My dad was a hard worker but I never saw him spend money on himself. He paid his bills and took care of our needs but anything left over he would send to his family in India, as many immigrants can relate, and to help the poor. He organizes an annual Ratha Yatra Festival, where he feeds thousands of people every year. He helps poor people start businesses to improve their situation. And because he himself never had a daughter, he would financially help poor families with their daughter’s weddings. Sometimes it would be frustrating, it felt like he spent more time and money on other people than us. So one day I asked him why. His answer was simple. 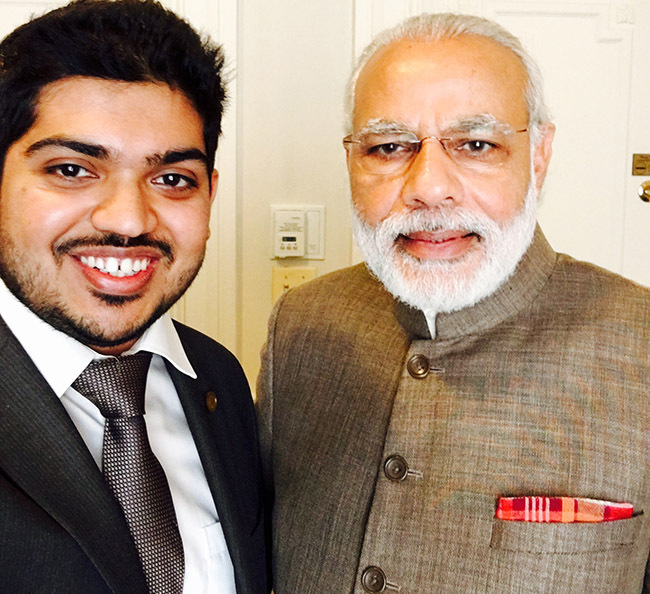 Partha Chakraborty is a 22-year-old Independent Candidate for Georgia House of Representatives from District 78. He is an entrepreneur and volunteers around the community. He organizes an annual kids camp in the summer, helping Indian kids get in touch with their roots. 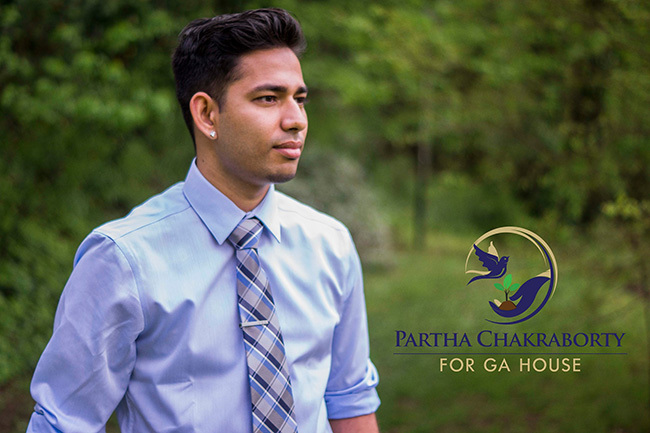 You can follow his campaign via his Facebook page: Partha Chakraborty for Ga House or his website: ChakrabortyforGaHouse.com. “I grew up in a small city, Baroda, where a profession as ‘scientist’ was unheard of and would be largely laughed at. The primary and secondary school I went to had no science laboratories or library, and at most times, no real science teacher. I flunked the first time I gave a physics test and my first science lab report was trashed because I couldn’t write proper tenses in English. I was not given entry in a premier research institute of India for summer research camp, citing I was just a mediocre high-school student. Until the age of 19, I had never seen the universe through a telescope. Earlier this month, in a closed room meeting in Washington DC for the historic India-US partnership in the ‪#‎LIGOIndia project, when the Honorable Prime Minster Narendra Modi asked us scientists how Einstein came up with idea of #GravitationalWaves a 100 years ago, I gave the answer, in front of the NSF Director and all his officials, in my mother language, Gujarati. That is my ‘Garvi Gujarat’, and dedication to my roots and its legacy. Ten years in the States and not a single day goes by that I do not think about returning and spreading science education in India. Karan Jani is a research scholar in astrophysics at the Georgia Institute of Technology, and is part of the LIGO team behind the discovery of gravitational-waves and black-holes. He holds the Senator Nunn Fellowship in National Security and International Affairs, and currently serves as the Vice-President in the Georgia Tech Student Government. He has previously held research positions at the Albert Einstein Institute, Stephen Hawking’s Perimeter Institute and Penn State University. “I come from a small village in the Adilabad district of Telangana. My parents were farmers. It has always been my dream to serve. As a child, I wanted to become a doctor; a dream that remained unfulfilled because I could not secure an MBBS seat. While scanning a newspaper one day, soon after graduation, I chanced upon a diploma program offered by the National Institute for Mentally Handicapped (NIMH) in Secunderabad. It was a program that gave me new direction in life. My first job was as a mandal resource person for the district primary education program near my home town. My responsibility was to enroll children with special needs into public schools. As the only mandal resource person for the entire district- a cluster of about 20 villages, I walked or took a bus from village to village, educating parents and teachers. I saw social stigma and apathy in every village. 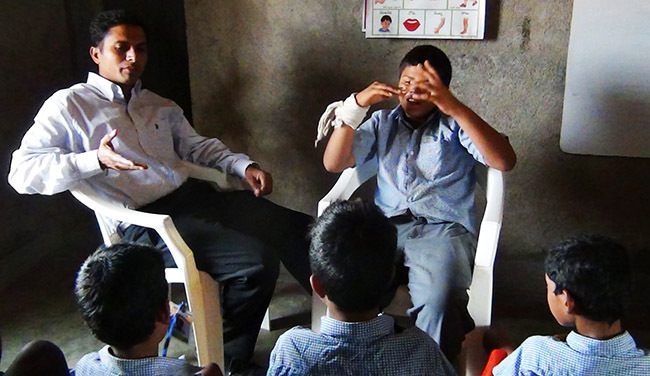 It was deeply disturbing to see mentally challenged children treated as a burden on society. They were completely neglected at schools. The school administrators ignored my suggestions. I felt sidelined and disrespected. I was only 23 when I registered Shantiniketan with dreams of opening a rehabilitation center for the neglected children of the mandal. At this point, however, a mentor from NIMH advised me to focus on higher studies or to get a job. Running a non-profit is not easy, she said. I had the right emotions, but no finances. I took her advice and completed my M.Phil in rehabilitation psychology. I had no dreams of ever coming to the US, but destiny had other plans. In 2004, I got an opportunity to work for the Gwinnett County School System as a special educator. But even as I set up my own life here; getting married and raising two boys, I never forgot my dreams for the vulnerable kids of my home district. In time, I found two parents who wanted to get involved in Shantiniketan. My father-in-law was very supportive. In 2011, my wife went back with our two kids to help start the center. My dream was realized when the rehabilitation center opened in 2011 in a rented building with 11 children. For the first three years of Shantiniketan’s existence, the center was run almost entirely on the $500-$600 I set aside from my special educator’s salary. Not a single penny came from the central government. A small amount came from a state government body, but the hassles of getting that amount outweighed the benefits because of flagrant corruption. “As I stand at the threshold of my eight decades of life and look back to turn the pages of my life story, I feel elated and thankful for all the blessings showered upon me by the Almighty. My trials and tribulations started at age 7, but I was blessed to come to the United States, get a good education, and I was living a very happy life. But in 2010, one wretched day, I had the shock of my life. A sudden onset of acute stomach ache was diagnosed as stage 4 cancer. For the first time in my life I stayed in a hospital. I had nodules removed from my lung .I had to go through a series of tests and scans. It was pancreatic cancer, the doctors said, and without mixing words, they told me that I had six months to live! I am very un-emotional when it comes to bad news. So, I was stoic. But my wife and children were devastated. I ended up in a hospital with an infection for several days. During chemotherapy, the surroundings, the smell of the drugs, and the condition of some patients was depressing. I had accepted the call of fate and never dwelt on my future. I went back to India and said my good byes to my family. But then, by God’s grace, miracles started happening. Prayers came from all walks of life. Six months passed and the doctors said, strangely, the tumors were shrinking. Every six months I went through MRIs and CT scans. The doctors said this kind of recovery happens in 1% of patients. Now, I am cancer free. I am ever grateful to my family and friends who were there for me during those trying times. I had the honor and privilege of starting Nrupathunga Kannada Koota in 1973, when there was no association in Atlanta to put people of common interest together. 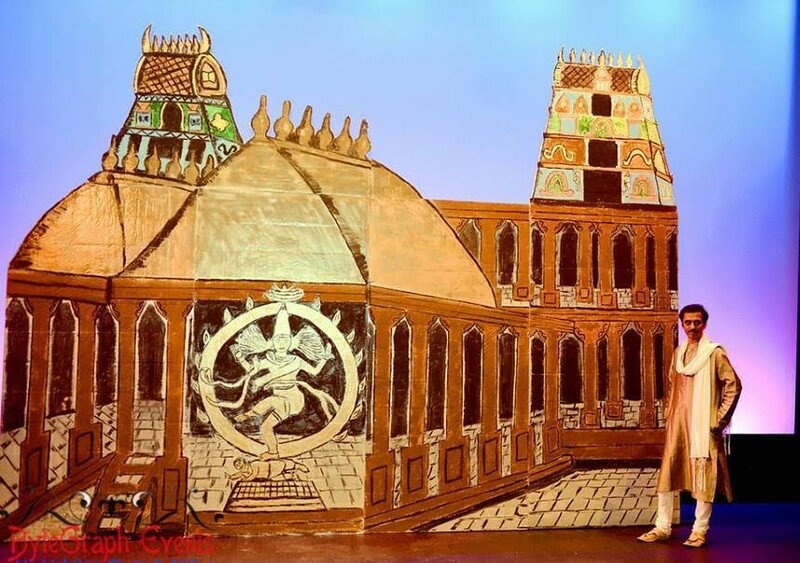 For over 40 years, it has united all Kannadigas and has provided a platform for all, particularly, children, to learn and exhibit their talents. Dr. H. N. Ramaswamy came to the USA as a student in 1963 and worked as a chemist for over 45 years before retiring in 2008. He lives in Smyrna with his wife Indira. He has two children and four grandchildren. His community initiatives include starting a high school in 1961, which has grown into a junior college today. He has also built a toilet, a library building, a family temple and a choultry for community use in his village. 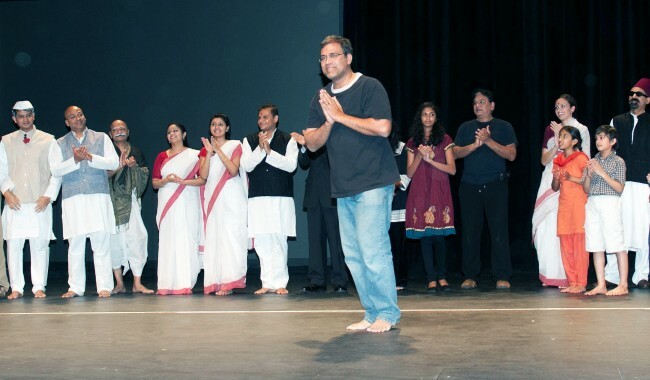 The India Association at Tulane,New Orleans and the Kannada Association in Charlotte, North Carolina are his initiatives. He also volunteers at The Hindu Temple of Atlanta, Riverdale. The label rankled me. Sure, we come from a country that is thousands of years old. But we are not dirty. Ours is one of the most well to-do communities in North America. Our doctors and high-tech people are the best in the region. Our markets and shopping enclaves ought to reflect our success story, not be called ‘dirty’. This incident gave birth, in my mind, to the idea of developing an indoor mall that would not only provide a clean, enjoyable shopping experience, but would promote India’s rich cultural heritage in the region. When I acquired Global Mall, it was a rundown 222,000 sq. ft. two-story health and fitness mall, which we renovated and refurbished. As with any business, there was risk of failure, but my passion for this dream project superseded my fears. My family shared my enthusiasm. My daughters, who were in their teens, and my son, who was only 11, pitched in, helping with the renovation- even cleaning windows. The mall opened in 2001 with only three tenants. Two of those businesses, Maya Creations and Legacy Jewels belonged to my family. Today, of course, the mall has a footfall of 6000-8000 people per week, and a full range of businesses, including a busy food court and temples. We are a hub for the international communities of Georgia. Our culture has lot to offer to the world, and hence we celebrate every festival with great joy. Our signature fall event, the annual Global Mela is attended by several thousand people every year. Our upcoming Maha Shivaratri and Holi celebrations are events to look forward to. Shiv Aggarwal is the founder and owner of Global Mall, North America’s first indoor South Asian Mall. Aggarwal is also the president of the Ekal Vidyalaya Foundation. 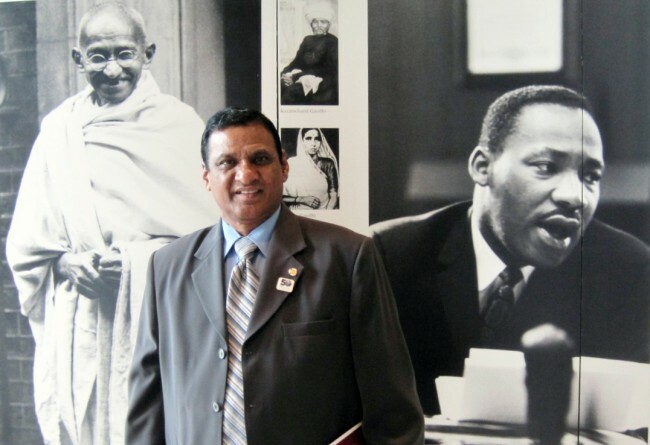 Under Aggarwal’s chairmanship of the Board of Directors for the Gwinnett Village C.I.D. (Community Improvement District) for the past several years, projects aimed at improving the quality of life of the Gwinnett County residents by better infrastructure, police protection, and beautification by landscaping and streetscaping of the county have been successfully implemented. Aggarwal and his wife Anushi have two daughters, Aarti and Vandana, and a son, Vishal. “As a child, I was fascinated with firefighters. As an adult, I developed a passion for serving the community. Today, I am lucky to have both professions. I am a firefighter for the City of Alpharetta Fire Department and a CASA court appointed special advocate for neglected and abused kids. I was a software engineer by profession. During my free time, I volunteered at Meals by Grace, collecting household items and packing food for the homeless in Forsyth County. A few years ago, a Sheriff friend of mine introduced me to the fire department, where I started to volunteer as support staff. It was only a matter of time before I got fully trained and became a firefighter myself. It is a great feeling to be able to protect life and belongings. We stay awake at night on call. Of course, not every call is an emergency- it could be a false alarm- but many are. We are trained to put on our suits in two minutes. Every week, we have a training session to keep ourselves physically fit. Every six months, we have a fire drill, where we are sent inside a burning building; we feel the heat as we put out the fire. Earlier this month, there was a real emergency that has stayed on my mind. A 1969 home on Highway 9 was burning and there were 7 people, including a baby, inside. Our team managed to pull everybody out to safety, but it was sad that we couldn’t save the home, which went down before our eyes. Incidents like these could haunt us, but the department provides counseling sessions to deal with depression, and to keep us from getting emotionally overwhelmed. My other job as a court appointed special advocate for kids involves working as a guardian for neglected and abused kids who have been moved by DEFAX and the legal system to new foster homes. I visit the kids at their new foster homes every other week and report their progress to the judge. 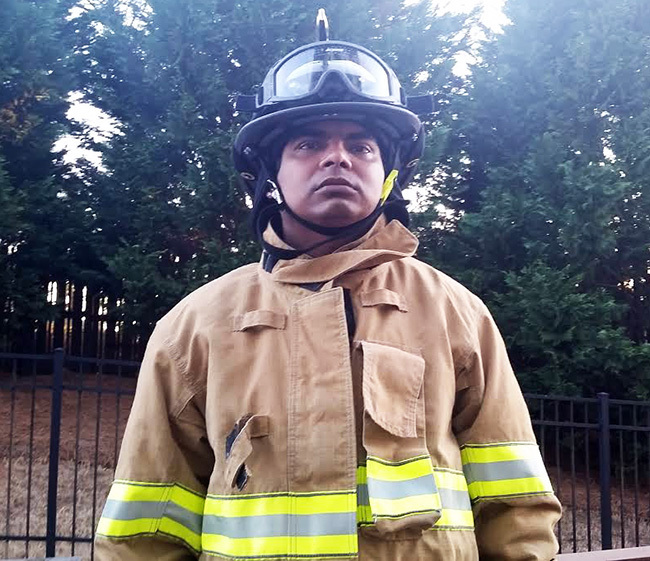 Chennai born Hemanth Singh has lived in Alpharetta for the past 12 years. 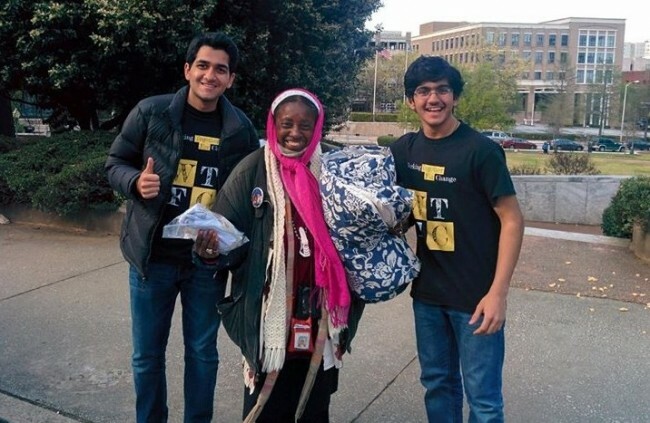 He continues to volunteer time for Meals by Grace and appeals to the community to donate used clothes, household items or canned food for the homeless. There are over 120 homeless families in Forsyth County alone. “I grew up in a middle class family in India, and came to the US in 2000 to do my Master’s in Computer Science. Marriage, job, kids followed in short order. And then in 2014, my life changed drastically. Going to the doctor to check for chest pains, I was diagnosed with stage 3 breast cancer. Weeks of shock, disbelief, grief and then acceptance followed. My treatment consisted of brutal chemotherapy, mastectomy and then radiation. In between were episodes of the chemo not working; the oncologist sending me to Duke Cancer Center for a second opinion since the drugs were not working; the doctors fearing that my cancer had spread to my bones and so on. My life was unraveling faster than I could make sense of it. Along with all this, I was also hiding a big secret. And this secret was about to break free. The image of a happy family that I had been trying to maintain in front of family and friends was actually just a big sham. I decided to file for divorce in the middle of my treatment. Coming from a traditional Indian family, it was a big decision for me, but my family supported me completely, and gave me the emotional strength and courage I needed to break free. I reached out to Raksha – a non profit organization based in Atlanta for help during my ordeal and they helped me so much with valuable advise and therapy. They even came to the court hearings to provide me with emotional support. 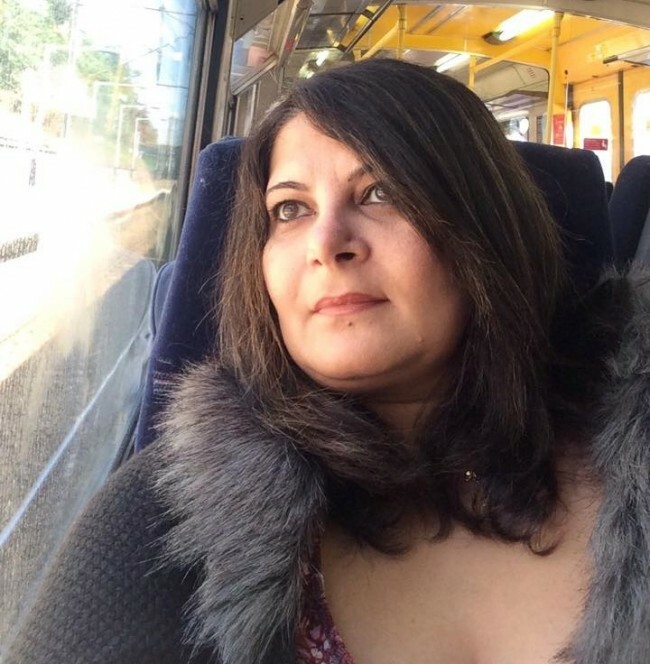 I was diagnosed with PTSD because of the trauma I had undergone and it was only because of the free therapy I got from Raksha that I have been able to come so far on the path of healing. Meanwhile, one of my friends was so upset on my behalf when she heard me crying on the phone that she started a support group for me after my surgery. More than 270 people joined and I finally had help with doctors’ visits, driving me for the daily radiation treatment, home cooked food delivered to my door step etc. It was so touching to know that so many people cared for me. I had friends and strangers praying for me at their temples, churches, gurdwaras and mosques. It helped balance the misery in my life. Another year later, the cost of ongoing reconstructive surgeries, legal bills, mortgage, household expenses took their toll. All my savings were gone. I was deeply in debt and facing a financial crisis. I had to constantly borrow money every month to pay for bills. Once again, my friends, family and the community came to my aid. Based on a friend’s suggestion, I set up a fundraising page, and support started pouring in. It has been an incredible journey so far. Having faced death, and having survived, I feel stronger than ever. In fact, I am so very grateful for my challenges, because, without them I would not have known my own strengths. I consider my ordeal a blessing since it has helped me change my perspective on life, cut out the clutter of thoughts and brought to the surface all that is really important to me- relationships and my relationship with the divine. 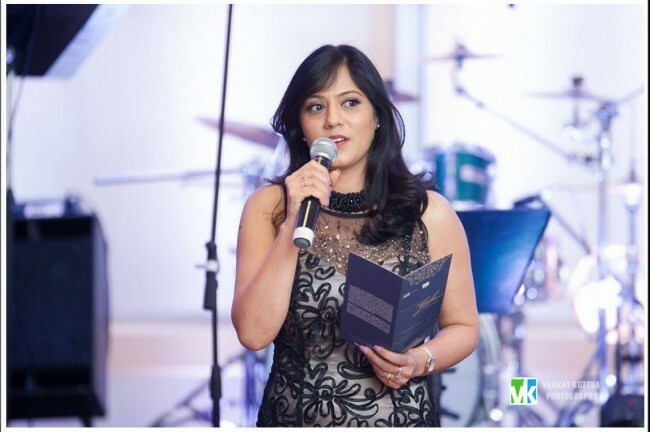 Preeti Singh has an MBA from IISWBM, India and an M.S. in Computer Science from Georgia State University. She is currently working for Ernst & Young as IT Project Manager. Here’s the link to her fundraising page: https://www.youcaring.com/preeti-singh-477234. “I have been asked time and time again by my friends who are married with kids, how am I able to leave my husband and 4-year-old son to travel for my own pleasure. My answer, at least in my head, is always, “Why can’t you?”. Four years ago, when I had my son, I never imagined I would be brave or trusting enough to ever leave him in someone else’s care. After all, moms know best, right? The first time I left my son, he was 6-months-old. I cried all the way to the airport and half the flight worrying about how would he survive without me! I did not feel a sense of relief till I reached my destination and had my husband put him in front of FaceTime. However, after my brief one-sided conversation with my 6-month-old I realized how happy he had looked getting to spend all this uninterrupted time with his father. Both of them looked so content, and I could clearly see they were enjoying each other’s company. Rajika Agarwal was born in India and moved to the US when she was 10. 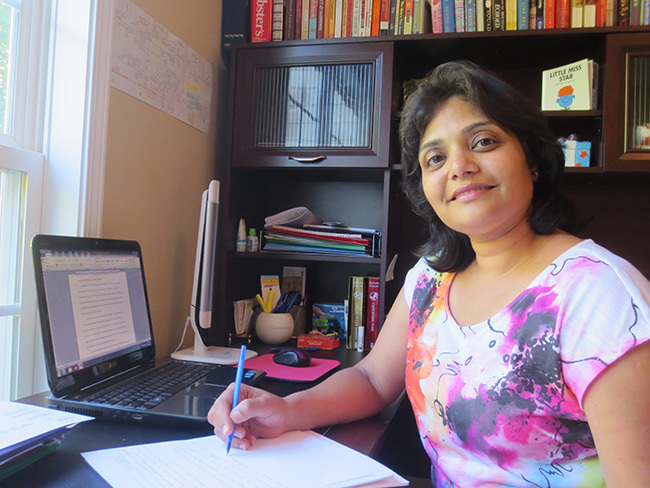 An alumna of Georgia State University from where she did her undergraduate and master’s, Rajika now lives in Las Vegas with her husband and son. “It’s never been easy. I was a girl who was terrified of receiving negative feedback…and here I was being rejected and insulted weekly/daily/hourly. I was told I wasn’t mainstream enough, that I was too mainstream, that my look was too different, that I wasn’t different enough, that no one would invest in an Asian woman in the music industry…that no one would take my music seriously. I was told that I was wasting my money and should look to get married and give up on this pipe dream. I was rejected by labels, venues and various publications, as well as being booed off stages for not singing Hindi music. It was always and still is a struggle to be taken seriously as an artist, to find my identity, and to have people give my music a chance. That’s all I really wanted. Just a chance. To have all of the hours I’ve spent writing, recording and practicing my songs – be worth just a listen from someone who doesn’t know me or my story. 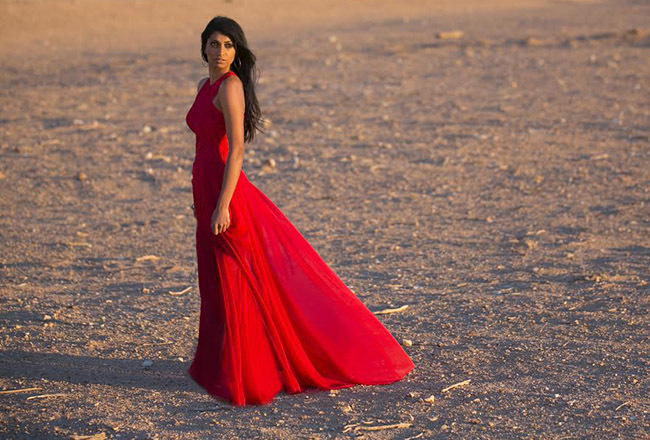 Along with her upbeat pop, soul infused ballads and stripped down acoustic medleys, the Atlanta, GA native released her first album Stand Alone (2012), with the self-titled single “Stand Alone” and “Change Your Mind,” as well as her second album Through Haze (2015) including “Renegade” and “Pinch Me.” Shilpa has opened for Waka Flocka, Wale, Culture Shock and has performed at the Apollo, Times Square Diwali (150,000 people), NY Fashion Week, Desi Fest Canada as well as various clubs around the world. She’s been featured by The Voice’s Carson Daly, MTV, VH1, Vibe Magazine’s Artist to Watch, Yahoo! Music, BBC Radio, AOL Music, Okay Player, Artist Direct, RyanSeacrest.com, Thisis50.com, Urban Asian, Channel One News, and many more. She has over 1 million hits on her YouTube channel and associated videos to date. “I was three years old when my grandfather, Bridpal Singh Giany, took me under his musical wing. At four years of age, I sang for RaamLaxman in ‘Tumhare Bina’. When Pancham Uncle (R.D. Burman) heard me sing for the first time, he exclaimed to my father, Uttam Singh, (who was a musician for him at that time) that “a star is born”. I was only five years old when Pancham Uncle gave me the opportunity to sing “Lakdi ki kaathi, kathi pe ghoda” (Masoom). By the time I was 15, I had recorded in 18 languages. At 17, I sang for Illayaraja. I was at Mithibhai College, juggling a student’s life with my career as a playback singer. But, I didn’t want to be held back with 3-minute songs. So, I trained intensively in semi-classical music- first with Sultan Khan Saab, the noted Hindustani vocalist and sarangi player, and later with Pandit Ajoy Chakrabarty in Kolkata. When I was 25, Naushad Saab came into my life as my guru, and I had the good fortune to train under him for five wonderful years. Professionally, it was a great time with ‘Gadar’ and ‘Pinjar’, both musical hits. But I am grateful to my father and my teachers who encouraged me to go beyond the 3-minute song and get well-grounded in music. Because of them, I am a teacher today. My father always said: “Sing for the love of singing. Leave the rest to God, for he will show you the way.” It was never my plan to be a teacher. I never pushed my daughter Aarohi to sing. But when she was five, she told me: “Mom, I want to sing like you”. I began to train her. By the time she was six, she was an even better singer than I was at ten years of age. That gave me the confidence to train other kids. Preeti Uttam is a playback singer in Bollywood, and is the daughter of music director Uttam Singh. She was one of the child singers in the very popular “Lakdi ki kath,i kathi pe ghoda” (“Masoom”, 1983). She went on to sing several Hindi film songs including the critically acclaimed “Charkha Chalati Maa” (“Pinjar”, 2003). 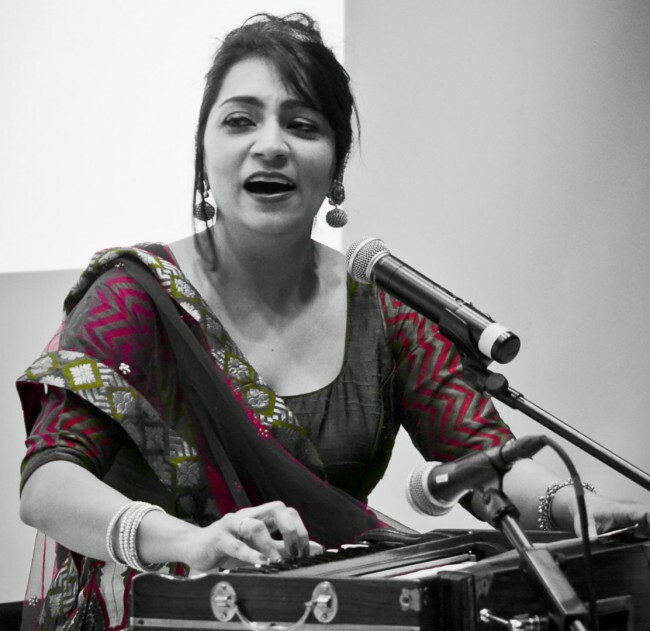 After her first album “Preeti”, she worked on the album “Aathwan Sur – The Other Side of Naushad” (1998) in which she sang songs composed by the legendary music director Naushad along with singer, Hariharan. She later collaborated with her father on the album “Sur” (2002). Preeti now trains Atlanta kids in semi-classical music. 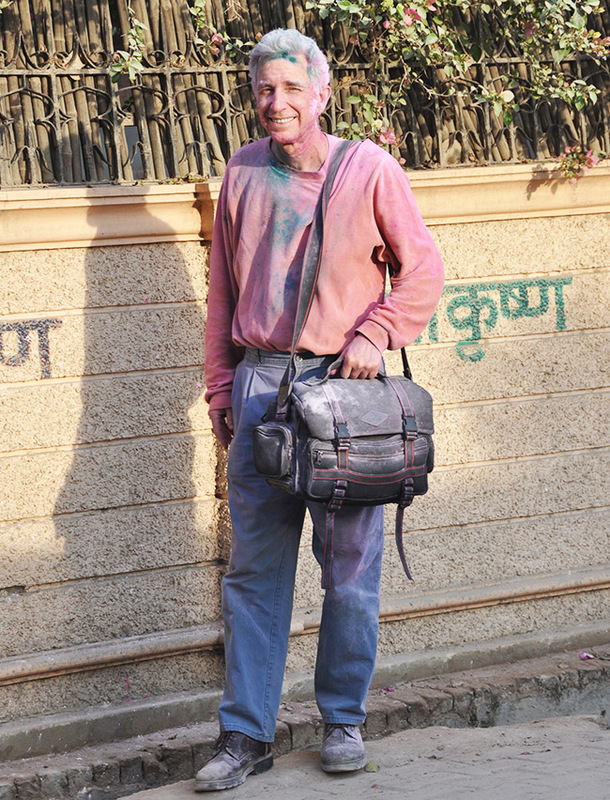 A file photo of Robert Arnett in Vrindavan. “My interest in India first surfaced in the late 1960s. While on a business trip to Detroit, I met a young man at an exhibition of Far Eastern art. Our conversation turned to Indian philosophy, about which I had very little knowledge. The exchange intrigued me, and as I would realize later, I was at a crossroad on my life’s journey. My new acquaintance suggested that I read Autography of a Yogi by Paramahansa Yogananda. He then invited me to accompany him to a yoga service the following Sunday. My first meditation experience and reading Autography of a Yogi totally transformed my life with the realization that within each of us is the divine potential that can be attained in this life. After having studied Raja Yoga and practiced meditation for almost 20 years, in December 1988, destiny set my path towards India. Without itinerary or expectation, I began the first of many journeys. I immediately fell in love with the people, country and culture, and felt as though I had come home. Robert Arnett is the author and photographer of the internationally acclaimed book India Unveiled: Spirit, Tradition, People that has won 3 national book awards. He is also the author of Finders Keepers?, a children’s book set in India, illustrated by Smita Turakhia, that has won 5 national book awards. A native of Columbus, Georgia, Arnett has a Master’s Degree in History from Indiana University. Undergraduate studies were at Tulane University, University of Georgia, and the London School of Economics in England. While serving 19 months in Turkey as one of the youngest Commanding Officers in the Signal Corps, he taught History of Western Civilization for the University of Maryland, European Division. Mr. Arnett has been interviewed on National Public Radio, Voice of America, South African Broadcasting Corporation, and has made various television appearances. “I used to listen to the Clark Howard Show and (through Howard), I learned about the Georgia State Defense Force and how we can serve in our free time without giving up our day job. The commitment is one weekend a month for 11 months and one annual training session. As an immigrant, I have always been very thankful for all that this country has offered me and my family. I’ve always wanted to give back. Also, the 9/11 attacks played a vital role in motivating me to join the force. The initial MEPS and IET trainings are not easy, but if one is motivated, one can do it. When people see me serving in uniform, they ask why there is no compensation. We pay for our uniform, and for the gas to drive to the drills and missions. At times, we are provided free meals during missions, but being a pure vegetarian I hardly find anything I can consume. So I pack my own lunch. If it is an overnight mission or training, I pack my dinner too. The satisfaction when a mission is accomplished is my reward. After I completed my Initial Entrance Training (IET) and graduated as PVT. (Private) Guruswami, we were provided with a DOD ID. I get to serve in the front line during big events, and that could be called a privilege. Pvt. Anitha Guruswami was born into a very conservative family in Chennai, India. Apart from serving in the Georgia State Defense Force, Pvt. 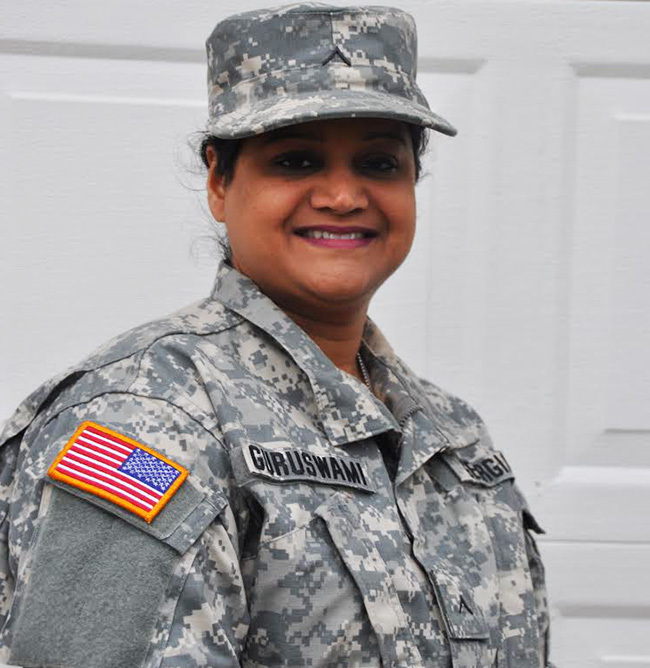 Guruswami works as a senior analyst at Macy’s Systems & Technology in Johns Creek. She is married, and has a 20-year-old daughter who is a junior at UGA. “Impacting a readership of 90,000. Having a role, however large or small, in shaping the Indian community of the region. And doing what I love doing. These are the highlights of my role as editor of Khabar magazine. However, in 2002, I was at a major crossroad. I had to choose between making money and doing what I love. I was 7 years into my profession of real estate sales as an agent for Century 21, doing this on the side while building Khabar with my partners. At this 5 to 7 year mark, the career in real estate sales usually starts paying off, and yes, even doing it part-time, the outlook was beginning to look rosy. But there were simply not enough hours in the day to do both careers. I had to choose between the two. While the income potential was attractive in real estate, I knew my passion lay with Khabar. Fortunately, I found the wisdom and resolve to give up on a well-paying career to pursue what I love. I was looking towards building a family and realizing the great (Indian) American dream of big homes, fancy cars, and private schooling for kids; so the decision was certainly not easy, but I have not regretted it one bit. The payoff is when readers frequently marvel at how we are able to provide this level of quality: award-winning content, some of the diaspora’s best writers, memorable interviews of high-profile Indians, 140+ pages of full color, book-bound magazine, and all that for free. The secret, of course, lies in our singular, uncompromising commitment to quality content. 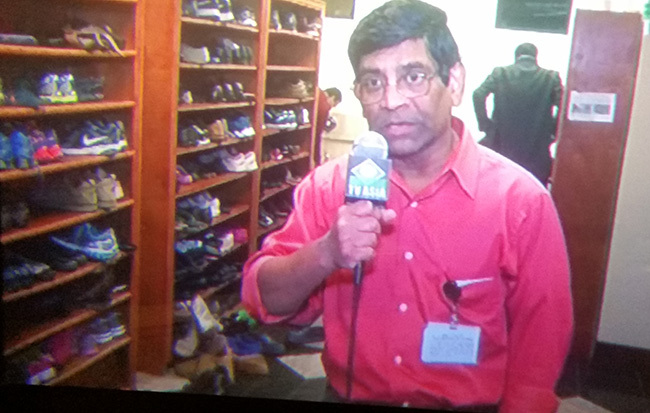 I see Khabar, first and foremost, as a resource to make a positive impact on the Indian community here. My days currently are split between editorial and business building duties. Earlier, the latter was handled by Rajesh Jyotishi, without whom Khabar could not have gotten off the ground. It was his connections and know-how, along with help from his father Chittranjan Jyotishi, that gave rise to Khabar in 1992. 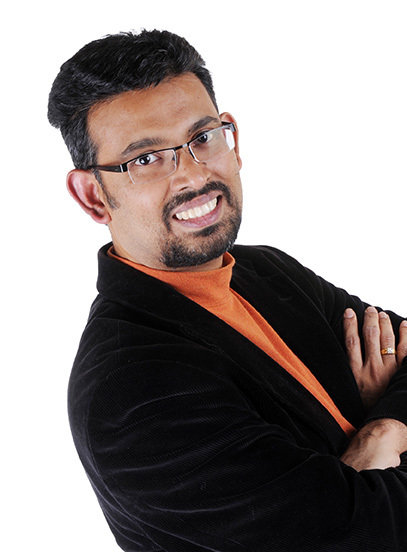 After years of getting us to where we are, Rajesh decided to leave Khabar in 2012. My brother Mehul Parekh and I remain of the original founders. Parthiv N. Parekh serves as editor-in-chief of Khabar, a magazine serving Indian-American readers. The largest of its kind in the Southeastern United States, Khabar has been cited in the “Best of Atlanta” annual issue of Atlanta magazine. Besides editing and writing for Khabar, he frequently writes on mainstream topics of socio-political relevance. His guest op-eds have been published in The Atlanta Journal-Constitution and Huffington Post. “It was 1976, the year of the Bicentennial. The Lakeside High School gym was overflowing with almost 2000 people in the bleachers and in chairs on the floor. They were all waiting to see who would be crowned Miss Lakeside 1976. 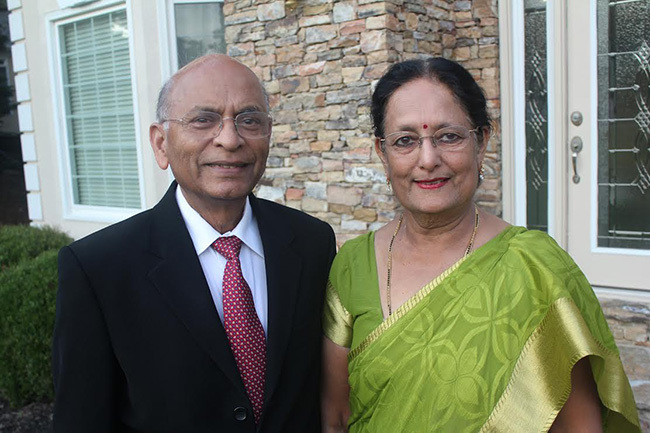 Rewind about ten years, when an Indian family moved to Atlanta, Georgia from Eugene, Oregon. A father pursuing a professorship in nuclear physics at Georgia Tech then Emory University, a mother excited about the prospects of building a new life and a wide-eyed daughter, born in India, but always curious and ready for what life had to offer. The atmosphere in the South, in the 60s and 70s, was challenging for a non-white family but not unbearable. We lived in an all white neighborhood and the schools I attended only had a handful of minority students. There were, of course, situations where we were judged in some way or another because of the color of our skin or how we worshipped, but, for the most part, Southerners were curious about our culture and gracious in their approach. My parents, who were very social people, were quick to make friends with people from all walks of life and nationalities, which made assimilation a lot easier for me. Nalini Koch was born in Hyderabad,India in 1959. Her family emigrated to the United States when she was 2 years old. She holds a Bachelor of Arts degree in Journalism with a Minor in German. She is currently a manager at a national insurance company. 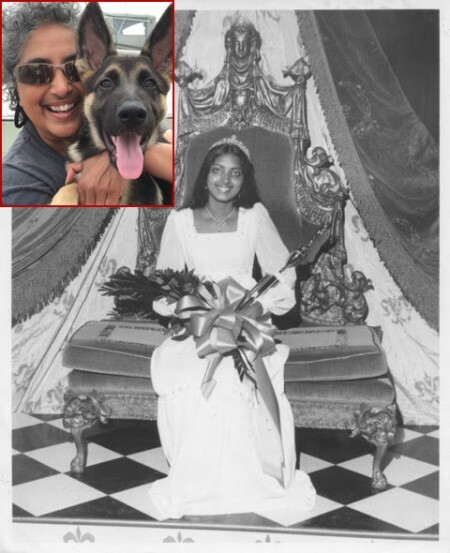 Nalini is the older daughter of late Dr P.V Rao, who is widely regarded as one of the principle architects of the Atlanta Indian community, and Lakshmi Rao, who continues to live in the Lakeside High school district. “I think, apart from hard work and luck, one has to be at the ground level to reach the top. I firmly believe that if the people working in the organization grow, the organization grows. I have always taken care to see that my people grow on the job. The environment we have created in NIIT Technologies in the US is one of exceptionally strong, open communication in which listening to understand is key. I never spend more than two hours sitting in my office. Instead, I go and converse with our employees in their offices and cubicles to get to know them and understand the pressures and challenges – personal or professional – they may be facing. Some of them like to share and some don’t, but in the end, it has created an environment of transparency and a strong team has emerged over a period of time. We have a very diverse team– locals from Atlanta and Augusta, and a team from India, who have come to work in the US. There is lot of learning from each other’s culture and that’s the key. We celebrate Halloween, Diwali and Christmas with the same spirit. I was amazed to see the initiative taken by a local American in the office to organize a large Diwali party for 200+ people inAtlanta. This gives me confidence in the team that is willing to gel well. Once you have such a team, the business growth results for the company could be amazing and that’s what we are experiencing for the last few years. Leading from the ground level means to support each and every individual in the organization to succeed. It’s not about governing or managing people and their tasks. It’s about encouraging people to get the right results. I am lucky to have a great team working in Atlanta and other parts of the US. I admire their commitment and hard work and I treat them as family members and hope that the culture continues. Lalit Dhingra is the President of NIIT Technologies, US, and is regarded as a catalyst in the growth of the company in the North American market. He has been quoted by leading publications like Fortune, Wall Street Journal,Silicon Valley and CIO Magazine for his business outlook and ability to comment on executable strategies and transformational models in the technology services outsourcing Industry. An alumnus of the IIT Delhi and Michigan School of Business, Lalit has been frequently asked to speak at Ivy League schools to mentor students and working executives. 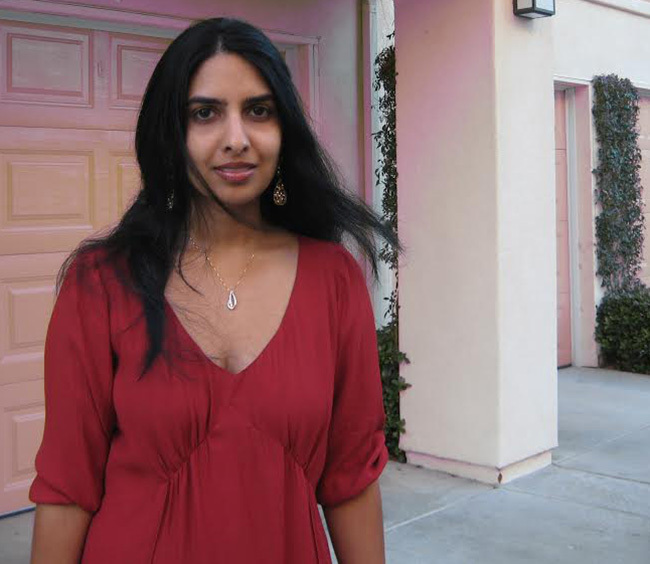 “I’m a New Delhi girl at heart, living in Atlanta while I pursue my journalism career at CNN. I have always been passionate about food. I grew up in a typical Indian household, brewing hot chai for the mornings, and my mother making fresh rotis for dinner, every day. Our home always smelled of spices. I wanted to translate this comfort and passion for food into my work life. And this is how my digital cooking series on HLN came about. I’ve been at CNN for about a year, and in that time, I pitched a video series to HLN involving me cooking global food on a budget. The pitch and pilot got green-lit by HLN, giving me production clearance for a season. The series intends to capture millennial cooks and encourage them to explore international flavors that would not break the bank to make. Each episode focuses on a particular country, and a dish inspired by that country’s flavors. For example, I make New Delhi inspired sweet potato burgers for one of the episodes, a Mediterranean flatbread at a goat farm for another. My Indian upbringing most definitely plays a role in my series. My mother and I exchange recipes constantly. She’s always inspired me to experiment with bold, beautiful flavors. Even though she is a vegetarian, she raised her kids to eat meat, cooking a storm of chicken and seafood dishes without ever having tasted them! I combined my Indian background with my Caucasian husband, Andy, who has German and Irish roots. My in-laws live in Germany, making my global compass for food and culture even bigger. Henna Bakshi is a journalist and culinary enthusiast. She speaks 5 languages: English, Hindi, Punjabi, Urdu, and some French. She created her first cooking show at University of North Florida called, “The Skillet.” After graduation, she got accepted at her dream company, CNN, where she also created a food series for HLN called, “Around the World in $40.” Henna lives with her husband, Andy, who is an amazing cinematographer and video editor, and also happens to be her muse. You can find “Around the World in $40” on hlntv.com and on Henna’s website, hennabakshi.com. 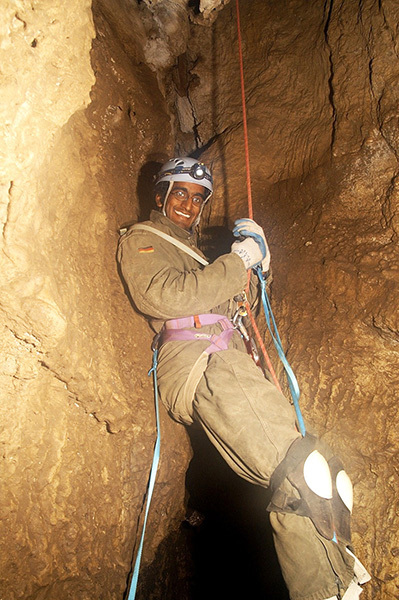 Looking for newly discovered species in the caves of Sequoia National Park, California. Photo by Jean Krejca. “I had a lot of opportunities to explore nature as a kid thanks to all the woods around my childhood home and my parents’ enthusiasm for camping. This interest was only further reinforced by my friends and teachers at Arbor Montessori School, which I attended from pre-K to 8th grade. By the time I entered high school, I was set on becoming a biologist so that I could spend my life exploring nature. In college, I got an opportunity to work for a photographer by chance and I pursued it because I thought it would be a fun summer job. However, it turned out the project was for National Geographic and I soon realized that working as a natural history photographer allowed me to do everything I dreamed of as a kid. As a result, I left the academic path and after graduating with a bachelors in biology, I decided to pursue a full time career in photography. I had to work as an assistant for about four years before I got a grant to work on my own project. It took another two years after that to land my first story assignment from National Geographic. This project, on mind-controlling parasites, was the most challenging thing I have done in my career. My job was to figure out how to make a subject that everyone hates beautiful. National Geographic photographer Anand Varma‘s photos tell the story behind the science on everything from primate behavior and hummingbird biomechanics to amphibian disease and forest ecology. He started photographing natural history subjects while studying biology at the University of California,Berkeley. He spent several years assisting other photographers before receiving a National Geographic Young Explorer grant to document the wetlands of Patagonia. 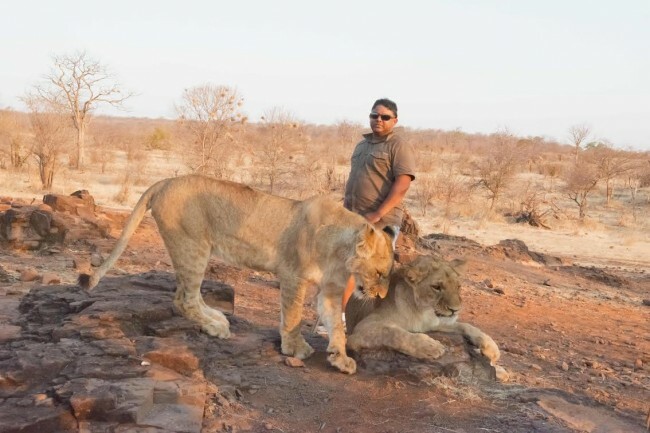 Varma has since become a regular contributor to National Geographic. His feature stories include “Mindsuckers” about mind-controlling parasites and “Quest for a Superbee” about the science behind honeybee declines. “I’ve run 56 marathons in 50 states. It took me 9 years. I run, because it takes me where I want to go in my thoughts; it sets my mind free from everyday work, and gives me a new breath of energy. I’ve never ended a run sad, disappointed or stressed. What’s not to love about running when you can clear the junk box of your “mind” mail? I will not lie. Running a marathon is not easy. It is grueling, and tests your mind and body. There are times when at every step, I’ve had to reinforce the belief in me and push myself to see the finish line; just to hear my kids’ voice filled with pride for their dad! I joined the running group in Peachtree Corners through a friend. Not knowing the running tradition, or groups, I went and unknowingly put myself in the fast pace group. Oh boy! What a discovery it was about my fitness spectrum and my endurance! Not to mention, I did feel that one 4 mile run in every part of my body for next few days! After this run, I took the challenge to complete it pain free and keep pace with the group, and my quest and goal grew after every run. And here I am today, as a 50 stater! I train with my wonderful running group friends at Peachtree Corners. We push each other, test our toughness and they are always with me when I need them for my very last kick to the finish line. We were adventurous in doing a 36 hour, 208 mile relay in Blue Ridge Mountains, endured several back to back marathons (run 52.4 miles in two states over a weekend), often times trained at 3 AM in the morning to ensure our families are not disrupted. It is a great feeling to run with such determined friends. Rohini Jella is a resident of Peachtree Corners Circle in Norcross, Georgia. His running partner in life is Prashanthi. They have two wonderful teens, Satya Jella and Nitya Jella. “Winning the Miss India USA title was the beginning of a truly adventurous journey for me. During this journey, I am glad I didn’t lose myself and kept my feet on the ground. That, I think, is crucial for every winner. I’ve had great opportunities- from being on the covers of well-known magazines to meeting the Consul General of India and the Mayor of Johns Creek. I am grateful for the many special moments and the chance to meet so many wonderful people! Something I’ve learned along the way- be yourself, work at reaching your potential and walk past harsh experiences. And have faith in your talents, always! Miss India USA (2014-15) Pranathy Sharma Gangaraju is a graduate of Northview High School in Johns Creek. Pranathy is currently pursuing acting at the Lee Strasberg School of Fine Arts inHollywood,California, and is honing her skills to soon be part of the movie world and “bring light to Indian films” as an actress. “I’ve wanted to be a journalist as long as I can remember, but I was discouraged from this profession both in India and even after I moved to the United States in the mid-80s. Shortly after I arrived in Atlanta, I went knocking at the doors of CNN and landed an unpaid internship. (CNN was then known as ‘Chicken Noodle Network’). The minute I walked into the cavernous newsroom on Techwood Drive, I knew that this would be my future. I loved the buzz, the excitement, and the energy of the news network still in its infancy. Unfortunately, just months after I started, my husband was transferred to Raleigh, North Carolina. I began a degree in journalism at the University of North Carolina at Chapel Hill. Almost simultaneously, I started working part-time as a general assignment reporter for The (Raleigh) News and Observer. I was the first Indian journalist they hired, and they could barely pronounce my name. “We will just have to call you ‘bubba’,” the editor said. I wrote about crime, politics and everything else that came my way. It was scary to walk down the streets of Raleigh at night – remember this was before the days of cell phones. I held a walkie-talkie tightly in my hand as I visited police stations to get updates. There was no GPS either, and I remember getting completely lost driving down a dark two-lane highway to cover the story of an escaped pet python. I startled a group of senior citizens meeting at a church when I walked into the building to get directions – it was the only place with lights on! When I eventually stumbled upon the farmhouse – I was more afraid of the barking dogs than the giant snake – which had wrapped itself around a tree at this point. I was young, naïve and a bit brave – I remember the time I volunteered to report on a Ku Klux Klan march downtown because the other reporter in the newsroom who was black didn’t want to do the story! 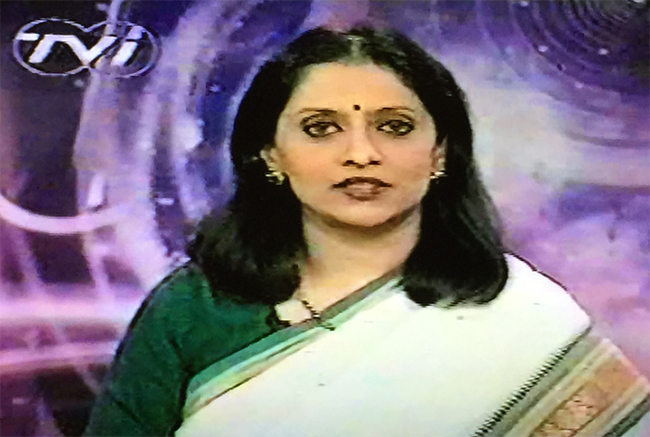 Life came a full circle for Chandrika Narayan when she joined CNN International in 2000, after three years as an anchor for an Indian television station in New Delhi. After 11 years at the news network, where she was producer/writer and briefly anchored a show called “World Report”, Chandrika Narayan took a year off to go back to school. She obtained another Master’s degree from Harvard University’s Kennedy School of Government in 2012. She is now back at CNN, freelancing at several departments. Photo courtesy: Alamelu’s granddaughter Aparna Sharma. I was born in 1913 in Rangoon, Burma, the 9th child of my parents. My father was a chartered accountant. I was interested in litigation at a young age and my father wanted me to be a lawyer. But my brothers felt I was too outspoken and abrupt to be in law. So I got a BA and MA in English literature, then a B.Ed. I ended up becoming an educator. I was married off to this charming would-be doctor in Rangoon when I was just 13, but my father made sure I stayed on with them until I completed my post-graduation. Only then was I allowed to start a family. I was 22 when my first daughter was born. Alamelu Srinivasan moved to the US in 1976. She lives with her daughter Paddy Sharma in Clayton County. A. N. Sengupta in the foreground of the Peachtree Summit Building, one of his Atlanta projects. “Imagine Atlanta without the freeways and I-285, a city of only half a million people. One could drive on the narrow Peachtree Road safely even with faulty brakes. I was a first-generation Indian-American and yet the opportunities and experiences I had made me feel privileged. I studied architecture and urban design at Harvard University and M.I.T. with full scholarships and more, taught at several noted universities, including Georgia Tech, worked with the then top architectural firm Toombs, Amisano & Wells (TAW), and later had my own architectural office and a high-class international boutique at Peachtree Center. I designed some 100 major projects between my years at TAW and Sengupta, Gruber & Associates. The Atlanta projects include Peachtree Summit,CNN Building, Westlake MARTA Station,Standard Federal Headquarters Building and master plans of Atlanta University and Spelman College. In those pre-e-mail-password-Facebook-LinkedIn-cellphone days, I could and did reach out to Jimmy Carter, Andrew Young and Coretta Scott King with one phone call supported by my name only. Nowadays even my bank of 15 years makes me show my ID. I was overwhelmed by the generosity of people here. I spent my very first night in the United States on the same guest bed on which had slept my hero, the great architect Frank Lloyd Wright. While on the faculty of Tulane University, I was routinely hosted by one Hollibaugh family. In Cambridge, Mass.I shared an apartment with the building’s owner, who treated me like his son and included me in all his family functions. But years rolled by. After around 25 years here, I felt intensely homesick. I had long since had my own family. We moved to Chennai, India where I wore several hats, including visiting professor at Anna University and I had my own architectural and planning practice. I designed some ten buildings for the campus and scores of major projects all over the country. These included The Geological Survey of India’s southern HQ in Bangalore, an 850-acre university campus in Pondicherry, an entire capital of a northeastern state, the first metro stations in Madras and Calcutta, Indian Institute of Management Kolkata and ISKCON’s Mayapur temple and town. 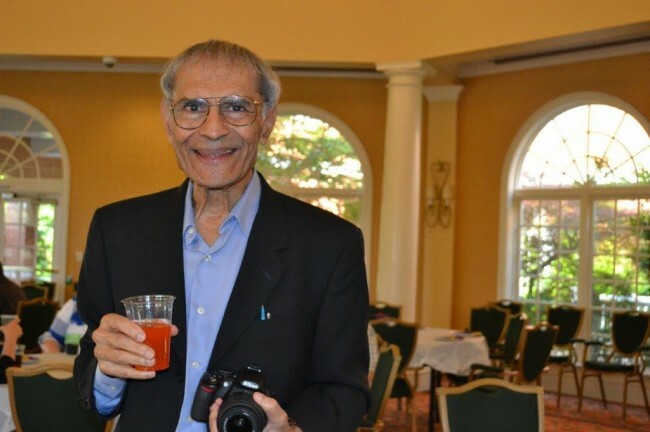 A. N. Sengupta, better known as “Shen,” arrived on these shores on ocean liners, trains and buses in 1958 and was one of the first to come from India to Atlanta. He came to the U.S.A. as part of the Technical Cooperation Mission , whereby educators were exchanged. Born in Barisal and raised in Sirajganj in Bengal, he has seen the world, residing in the Himalayas, in the desert cities of Saudi Arabia, on the banks of the mighty Brahmaputra , in the mega-city of New York. This together with his firsthand knowledge of people from all corners of India and the rest of the world makes him a truly global citizen. Nimesh Hasmukh Patel, who also goes by the name Lucky, is a sophomore at Middle Georgia State University, Macon. He is also a dance choreographer and DJ in his spare time. “It was the most memorable day of my life. I spent 45 minutes in the chair that Prime Minister Modi would later occupy. As one of the official interpreters of Modi’s Facebook town hall meeting with Mark Zuckerberg, it was my job to test the mike system before the session began. I arrived at the venue at 7 am, and, as I tested the mike, I dished out famous dialogues from the movie Sholay. The audience clapped. The Indian TV channels, about 8 to 10 of them, then grabbed me for interviews! During the session, I was asked to sit in the front row. 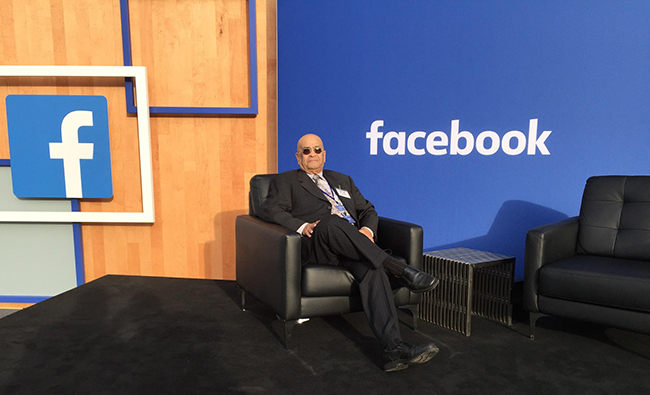 I was told to approach Modi and Zuckerberg, in case the mike system failed (to translate the conversation). I teared up when Modi talked about his mother. It was an emotional moment was everybody. 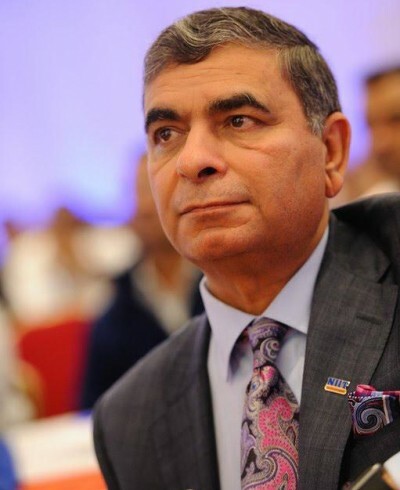 Ismail Charania is an Atlanta based simultaneous, consecutive & phone interpreter in Gujarati-Hindi-Urdu for the Department of Homeland Security, Department of Justice, USCIS, Executive Office for Immigration Review and the Social Security Administration. He is the official interpreter in the federal Sureshbhai Patel assault case. “When I was six years old, I promised my mother I would become a doctor and serve the poor. My promise was a distant dream for my mother. I had to break through the obstacle of my orthodox family tradition of educating women only till the 5th grade. “You need not become a doctor to cut onions in the kitchen”, was the response I received from my community members. I went on a hunger strike for a week, lying flat on my tummy in my grandparents’ hall. Finally, on the seventh day, seeing me dehydrated, my parents and grandparents agreed to continue my education. 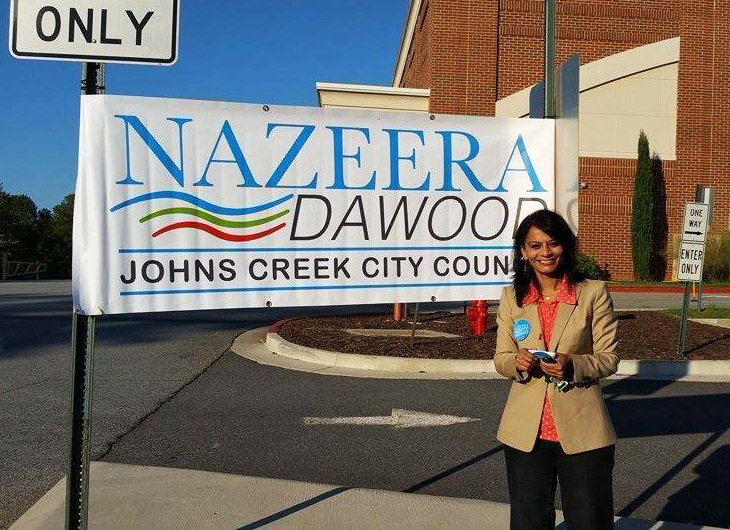 Dr. Nazeera Dawood is running for Johns Creek City Council Post 5. She is currently the Deputy Chief of Staff for Operations at the Fulton County Board of Commissioners, Chairman’s Office. She received her Medical Doctor degree from Bangalore University in India and a Master’s degree in public health from the University of North Carolina, Chapel Hill. She was recognized as the 2010-2011 ‘We are Emory, 100 Community Builders’. Under her leadership as the health promotion division director at Fulton, the collaborative partnerships have grown to over 400 businesses, organization and individuals through the six coalitions and secured $9,000,000 project funding for a period of three years. Oct 1, 2014 was proclaimed as ‘Dr.Nazeera Dawood Appreciation Day’ sponsored by Fulton Board of Commissioners. She is a Johns Creek resident and a recent graduate of Leadership Johns Creek and Johns Creek Community Police Academy. She is the President Elect for South Asian Public Health Association and an Associate President of her Rotary Club. 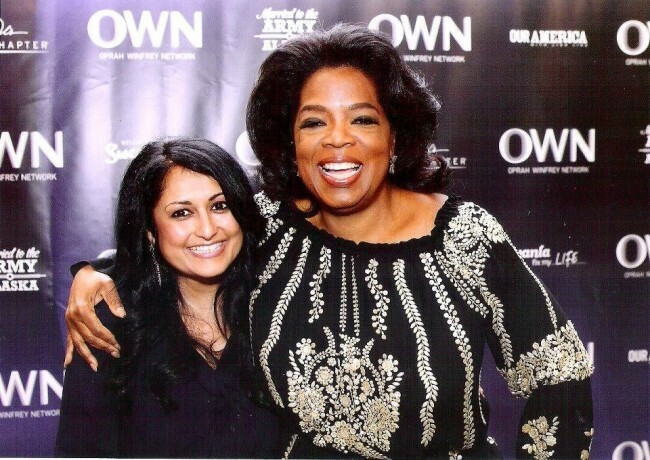 OWN Ambassador Malika Ghosh Garrett with Oprah. “Life has thrown fierce challenges my way. When the world as I knew it fell apart, my life did a 180. A quieter, reflective world substituted the noise, success and fast pace of my earlier life. With reflection came awareness, and a clear focus of what’s really important. Oprah has been more than a friend. She is my teacher, and I am grateful for her many lessons- to forgive and forget; that “Life didn’t happen to me but for me”; that we are all human. I have experienced the fierce love of all that is God who manifested as my friends and supporters. His power resides in my heart. It lifts and carries me everyday. I pray differently grateful to have survived, learned, forgiven and moved on. 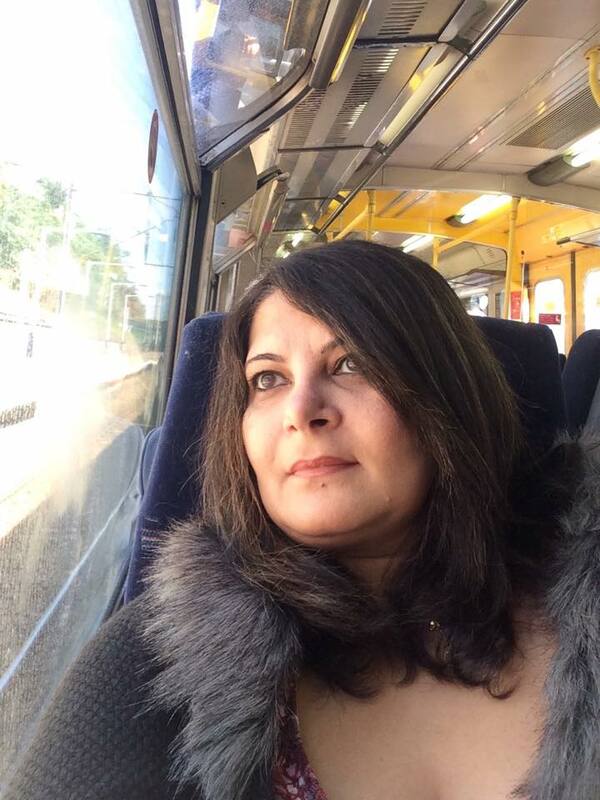 OWN Ambassador Malika Ghosh Garrett has collections of her work in India, Singapore, USA, UK and China. She recently collaborated with Deepka Chopra on a fundraiser for Akshaya Patra, where her painting captured the hearts of many and a $50,000 donation from more than one bidder. She currently resides in Atlanta, Georgia with her husband and two beautiful children. Malika attended Wesleyan College in Macon, GA where she earned her BFA in Visual Arts. Her website www.malikagarrett.com has more information. 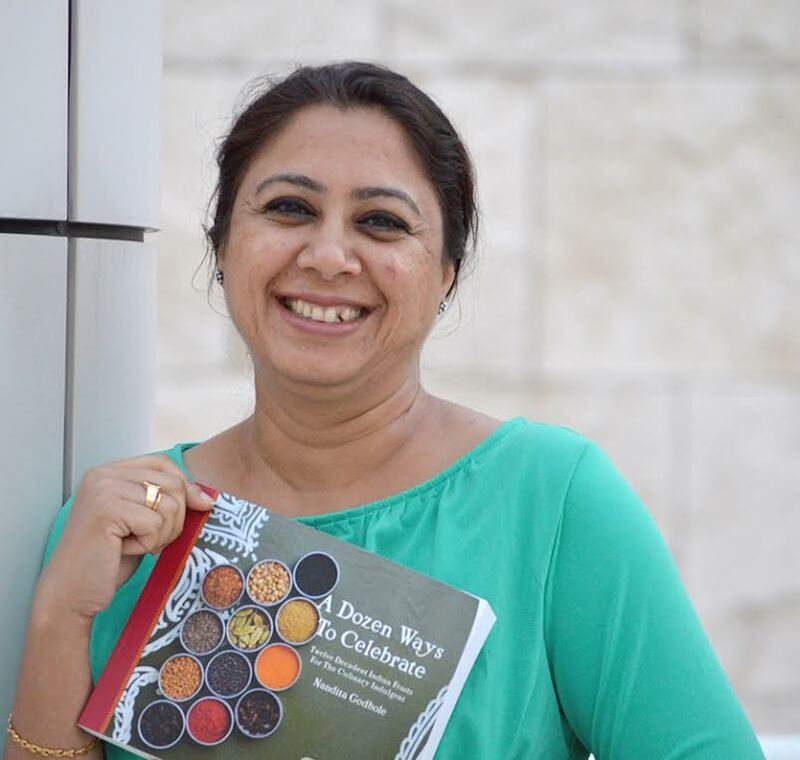 Nandita Godbole ( MSc., M. Landscape Arch., Cookbook Author, Entrepreneur), is an emerging indie author based in Roswell, GA. She launched Curry Cravings™ in 2005 to showcase the dynamic Indian culture and cuisine. Through both her written and culinary endeavors, Nandita remains an enthusiastic advocate for the Indian culture, bridging gaps between its perception and ‘consumption.’ Visit her blog at www.currycravingskitchen.com to learn more about her current and upcoming cookbooks and novella. She will be showcasing her maiden cookbook ‘A Dozen Ways To Celebrate’ at this year’s Indo-American Arts Council’s Literary festival in NYC in October, 2015. 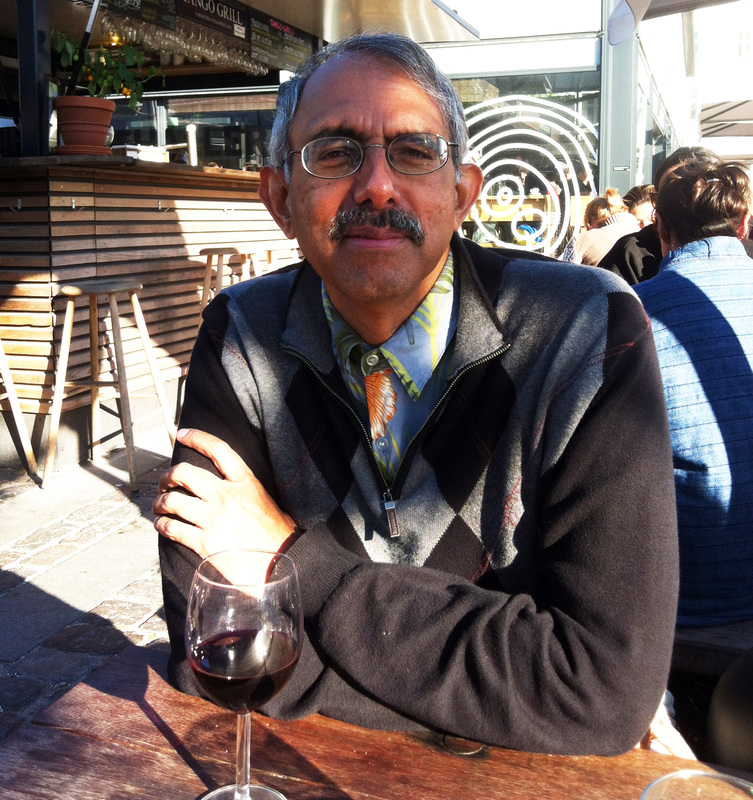 K. M. Venkat Narayan is a Ruth and O.C. Hubert professor of global health and epidemiology at Emory’s Rollins School of Public Health and a professor of medicine at Emory School of Medicine. Notably, Dr. Narayan is a physician-scientist specializing in the epidemiology and prevention of diabetes, obesity and vascular diseases. He is regarded as a national and international leader in chronic diseases. “After a 16-year, fulfilling career at the CDC office in Atlanta, the transition to a global health position in Kenya seemed like a natural progression to a calling from over 2 decades ago to work in global health. When faced with the proverbial fork in life, I decided to follow my inner voice, let go of the familiar and take the “road less traveled” by accepting a position in a part of the world I had never been to before-Nairobi,Kenya. Having spent my early childhood years both in India and the US, the stark difference in the public health infrastructure between the developed and developing world always struck me. At the age of 19, I stumbled upon an article that described the impactful work being done by donor organizations, ministries of health and grass roots organizations in the African region to curtail HIV/AIDS, malaria and other infectious diseases. Up until that point, I knew nothing about the disciples of epidemiology, surveillance or public health sciences but the article was powerful and created a vision for what I wanted to do “when I grew up”. So when the time came, I decided to shift gears from my undergrad in engineering, follow my inner voice and pursue graduate work in public health. The decision to pursue graduate studies in a field that was relatively “unknown” at the time, with less than certain job prospects, was a risk I was willing to take to pursue my passion and in hindsight, turned out to be a very wise move. 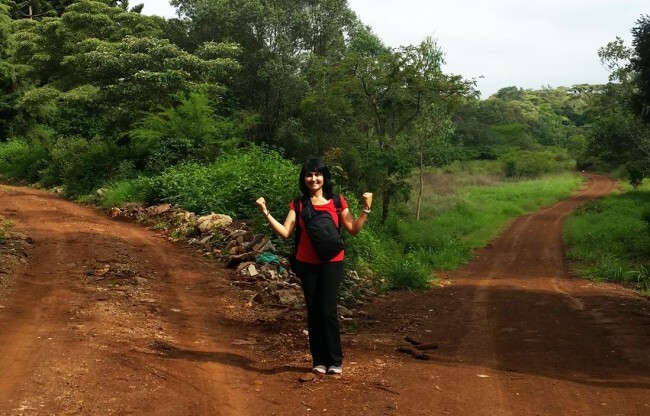 Dr Prachi Mehta moved to Nairobi in September 2015 after living and working at CDC’s Atlanta Office for over 16 years. She is a Public Health Scientist (Informatics) at the CDC,Kenyaoffice where she provides technical expertise and management oversight for the development of public health information systems and solutions to build health systems capacity and infrastructure in the African region. 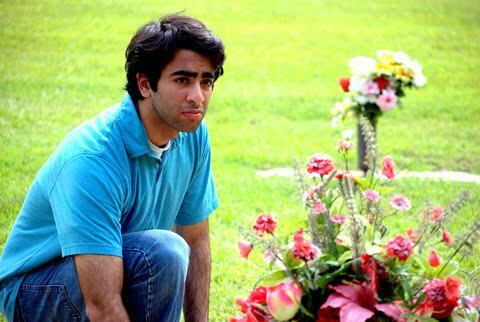 Gautam Narula during a visit to Troy Davis’s grave in Savannah. “I spent the second half of my teenage years trying to save Troy Davis from an unjust execution. During those years, he opened my eyes to many issues I never thought about– the horrifying conditions behind bars, the tragic backgrounds of inmates behind bars, the moral and legal problems with the death penalty, and the many, many flaws in the justice system. 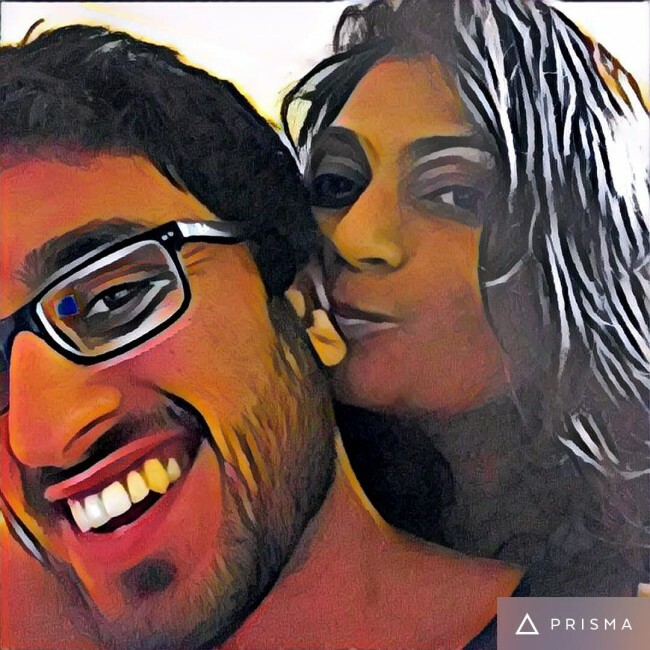 Gautam Narula, 22, is a writer and software developer. He is the author of Remain Free, a memoir about his friendship with Troy Davis, a Georgia death row inmate executed in 2011 despite serious evidence of innocence. All proceeds from the book will be donated to the Innocence Project, a non-profit that works to exonerate wrongfully convicted individuals through DNA testing. “I love people. My day never really begins until I spend time networking- meeting people I know, and making new friends. When people greet me, it makes my day! On an average, I get 12 calls a day from people seeking information, guidance and publicity for their events. I cannot say “no” to anybody. And people return the favor with their love. 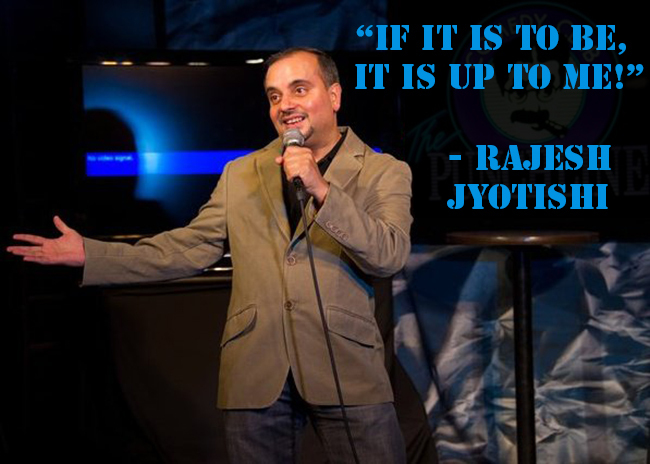 Known fondly as the Indian Mayor of Atlanta, Mustafa Ajmeri is an event promoter, and has to his credit several successful Bollywood and Gujarati shows/ plays. He is also PR for the Law Offices of Chandler Sharma and India Tribune newspaper. Mustafa is married to Kheru and has a son Arif, and two daughters Farzana and Shehnaz. “It seemed (then) like my world had turned upside down. Since then, I have ventured beyond the limitations that restricted me from breaking the ice, to bring attention to the topic of bullying. It was hard, always. Never is it easy to fight against the norm, but, with the support of my community members, it was bound to occur. Japjee Singh was a victim of bullying in elementary and middle school. At Peachtree Middle School, the bullying escalated into physical violence, and Japjee had to endure assaults that resulted in a broken nose and a swollen jaw that required two surgeries. In one assault, a student cut Japjee’s hair, in violation of his faith. He was called “Aladdin” because he wore a turban, and asked “to go back to his country”. The Counsel for the Sikh Coalition supported Japjee’s family take steps that that eventually led to a landmark settlement between the Department of Justice, U.S. Attorney’s Office and the DeKalb County School District in May 2013. Now a high school junior, Japjee is a committed anti-bullying activist. “I have collected and donated 3,000 books to migrant farm worker children in Georgia in less than 9 months. I want to collect 7,000 more books for these kids. My goal is to help with their early childhood education. I was greatly disturbed when I learnt that children as young as 5 would work in the fields and not get a normal education, in order to earn less than $1,000 per year to support their families. 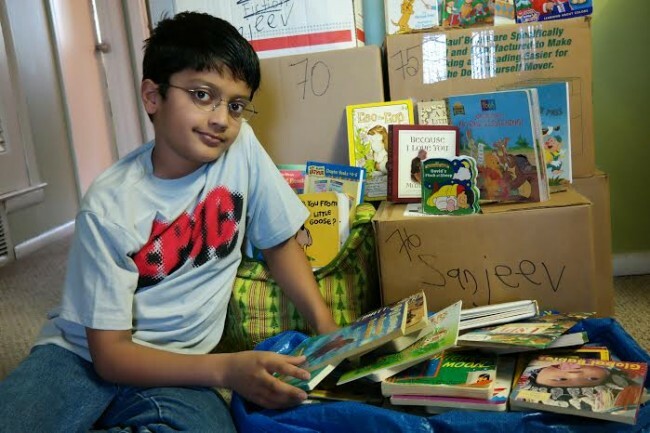 Sanjeev is 11 years old and is a 6th grader at Kittredge Magnet School,Dekalb County. He is an avid chess player and has a black belt in Taekwondo. He loves Pokemon and Lego. “I create flutes on a 3D printer. When I started learning to play the flute in 2002, I had a hard time finding well-tuned bamboo flutes. Four years went by without a good flute. I started researching how to make bamboo flutes. It was hard to find the right kind and size of bamboo, so I started making flutes using PVC and aluminum pipes. That worked well for some pitches. Ram Mallappa recently had his flute arangetram. 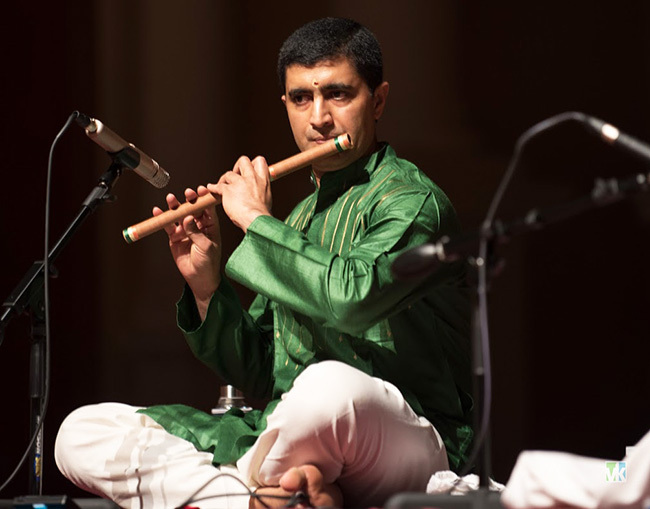 His classical Indian 3D printed flutes will be presented by his guru Sri Raman Kalyan at the upcoming World Flute Seminar. 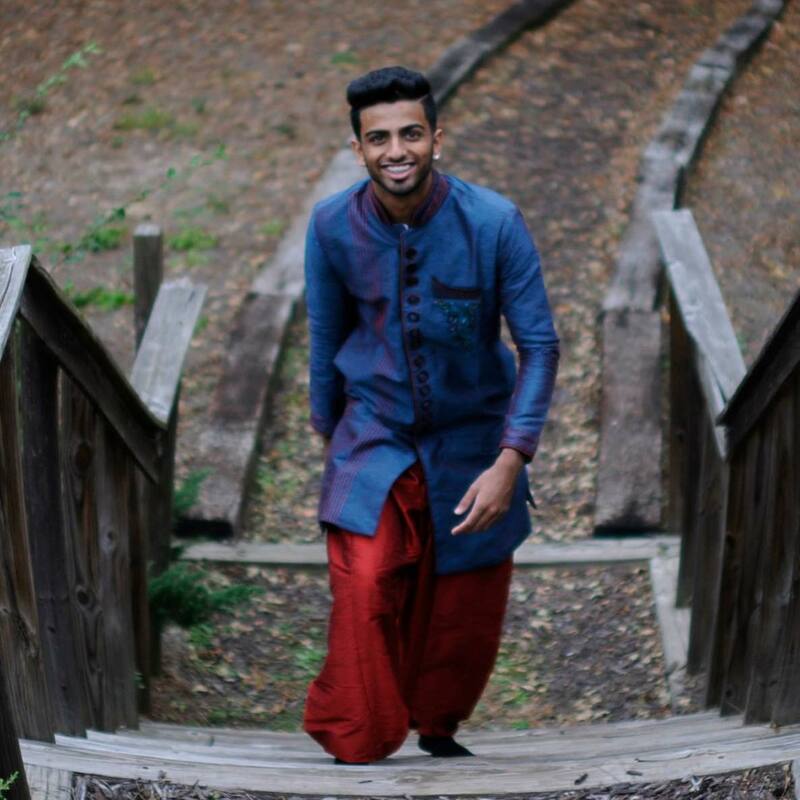 By profession, Ram is a software engineer, and works for the New York Stock Exchange’s Atlanta office. Ram lives in the Atlanta area with his wife, two daughters and their pet dog. “I get inspired by socially relevant causes, and any support I can provide as an individual or as part of a team gives me great pleasure. I like to help meritorious children who are financially deprived get a proper education, and hence, I have initiated and successfully carried out scholarship programs in India and the USA. It also gives me great pleasure to serve the elderly, which has motivated me to organize successful health fairs. Bala comes from a large family, and is the last of five brothers. He has a degree in Engineering from JNTU Hyderabad and an MS from the University of Texas. 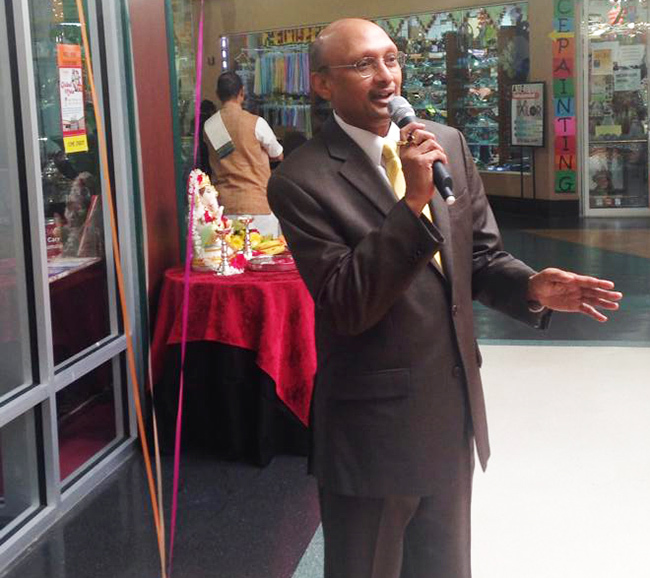 His non-profit journey started with TAMA (Telugu Association of Metro Atlanta) as secretary in 2004. He became president of TAMA in 2006. He was also president of APNA Foundation in 2010/11 and the BOD and convener of the national organization NATA in 2013/14. He lives in Atlanta with his wife Madhavi and beautiful daughter Rithika. Darshan P. Kaur is a Certified Outsourcing Professional and works as a Sr. Director of Global Sourcing at a leading financial institution. Her real passion is theatre and she has performed in several plays in Atlanta including two in a lead role. She also loves to sing, dance, write, travel and volunteer. Darshan is the current Vice President of the Executive Committee of IACA (India American Cultural Association). “It all started when I was in school. I found myself in love with art. As a child, I used to draw and paint, and have my creations displayed at local exhibitions in Chennai. As I grew older, I focused on my future, letting go of my passion towards art. After my son Abhishek started showing interest in drawings, I started to find time to continue my passion. 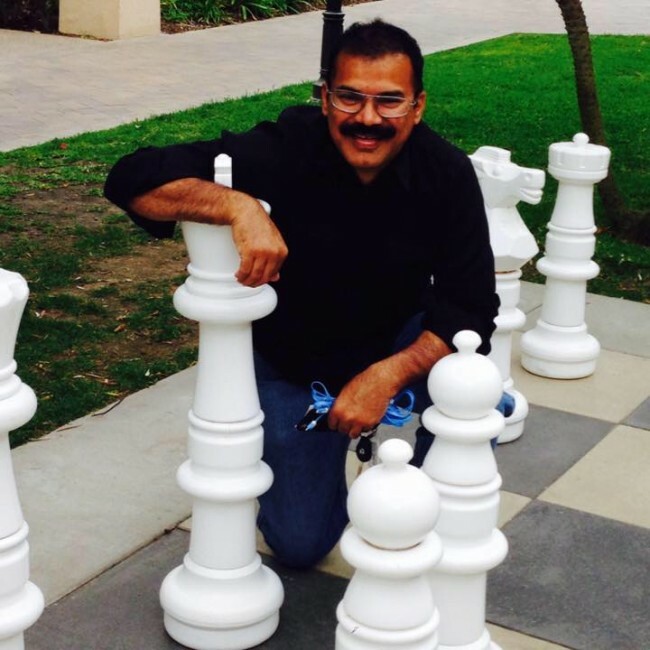 Vijaykumar Gandapodi is a software executive, artist, chess coach and an actor. Vijay is currently pursuing his doctorate in Business Administration at Georgia State University. Yami Joshi is an organizational development specialist at UPS, where she develops and implements organizational strategies to improve the employee experience. Meanwhile, she is pursuing a master’s degree in organizational/industrial psychology at the University of Georgia. Outside of her work and studies, she is a certified Bharatanatyam dancer. 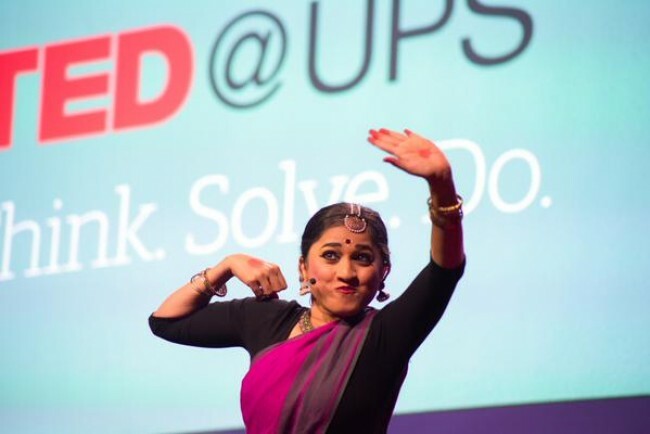 Using her dancing skills, Joshi recently had the opportunity to give a TED talk (hosted by UPS) on how dance helps her alleviate stress. 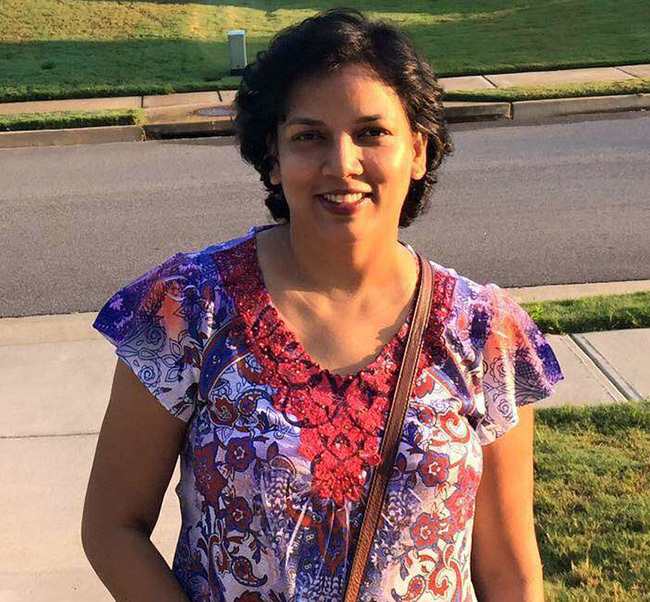 Dr. Hima Bindu Lingam is a medical oncologist and hematologist who works in both patient care and clinical research at Kaiser Permanente Townpark in Kennesaw. 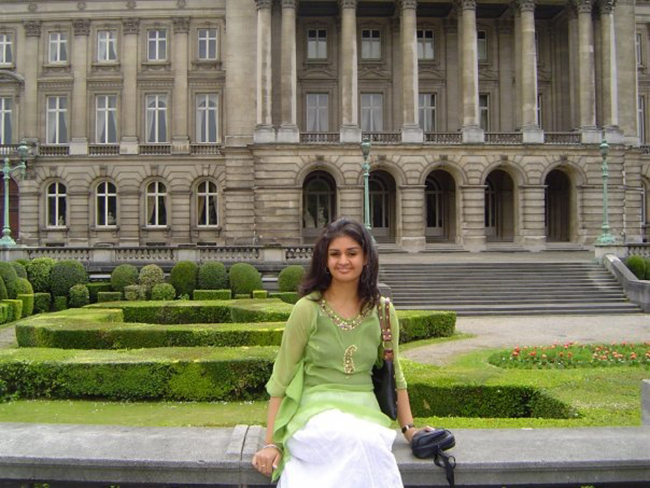 Born inVijayawada, Andhra Pradesh, and raised in LaGrange, Georgia, Bindu’s international exposure and love for travel has made her an Indian-American with a world view. She also enjoys running and recently completed a 5K for the Leukemia and Lymphoma Society. “I believe that confidence, inner peace and happiness all go hand in hand. If you are an ethical, truthful person and live your life with no guilt, no negativity can affect you. The positive energy then reflects in your personality, in your confidence, in your attitude and ultimately, in your physique and looks. I didn’t have to work at being a happy, content and confident person. That is just who I am. I may have imbibed this from my beautiful mother who has seen many highs and lows in her life, without ever complaining about anything or anybody. She is a woman of amazing grace and spirituality who has always focused on the good in every situation. I believe forgiveness and contentment are the biggest assets a person can have. Forgive, forget and move on- that has been my mantra for inner peace and happiness. And while the success stories of others can and should be a great source of inspiration and motivation, it should never be a cause for jealousy or self doubt. In fact, it’s a matter of great pride to me when people around me achieve greater heights. Anita Gupta is a full-time Realtor by profession. She counts singing and gardening among her many passions. A former model and actor, she directed the Miss India Georgia pageants for several years in the 90s, and again in 2008. Reetika Khanna Nijhawan worked as a flight attendant with Lufthansa before settling down to write for ELLE and ELLE Décor in Mumbai. She later moved to Atlanta, where her work has been published in the Atlanta Journal-Constitution and Khabar magazine. Kismetwali and Other Stories is her first work of fiction. Reetika will appear on the Decatur Book Festival Emerging Writers Stage on Saturday at 2 p.m.
“Everyone needs a cause to support. Mine, for the last two years, has been to raise money to find a cure for diabetes. While my own family has a history of diabetes, I also have a friend whose son has Type 1 diabetes. 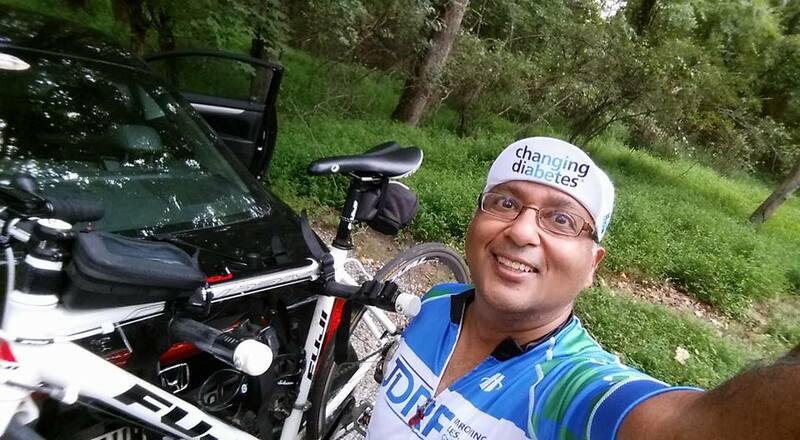 Two years ago, this friend asked me to ride and raise funds for JDRF – an organization looking for a cure for diabetes. I agreed, because 80% of the funds raised go directly to research and the amazing people involved with JDRF’s Ride program. Alankar Tayal grew up in three different continents, but has called the Greater Atlanta area his home for the past 25 years. He lives with his wife and two great kids in Roswell. By profession, Alankar is a thought leader who has been evangelizing a user-centric approach for all things in the online space. 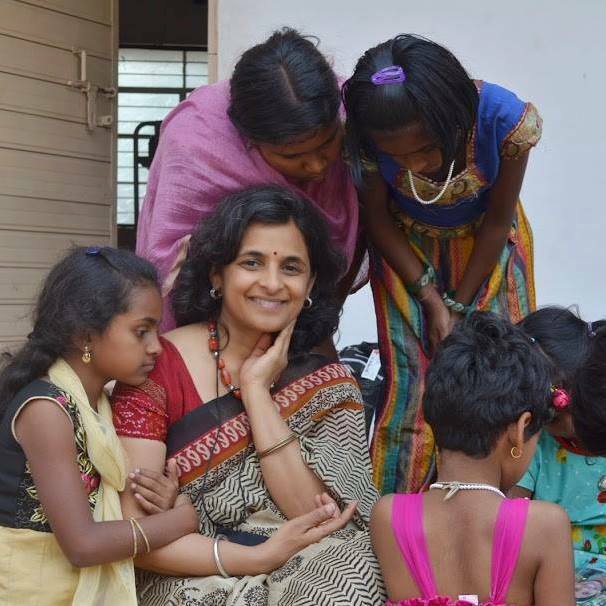 Having worked for over 25 years in the automotive electronics industry in engineering, Shobha Swamy is now focused on community related activities in the US as well as in India. She also assists in her husband’s company. 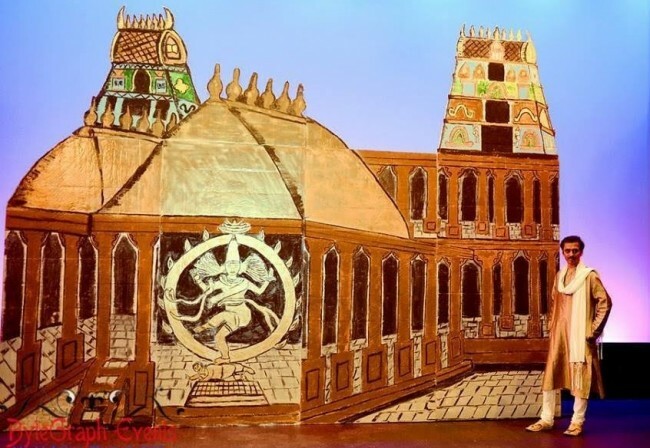 Sundara Kandam – a Benefit Program for AIM for Seva will be held on Sept 4 at Ferst Center for the Arts, Georgia Tech. Educate a child, support the arts. Shaveta Jain conducting the pledge drive for American India Foundation. Photo by Venkat Kuttua Photography. “Extreme obsession over fair skin is deeply rooted in our system, which explains the popularity of fairness products for both men and women! Not only does this bother me, but it questions one’s intellect. We all know, many dusky beauties have ruled Bollywood cinema and have enchanted their fans with their talent. Let’s think out of the box and appreciate a person and his/her personality beyond his/her skin color and appearance. Think different and be fair! 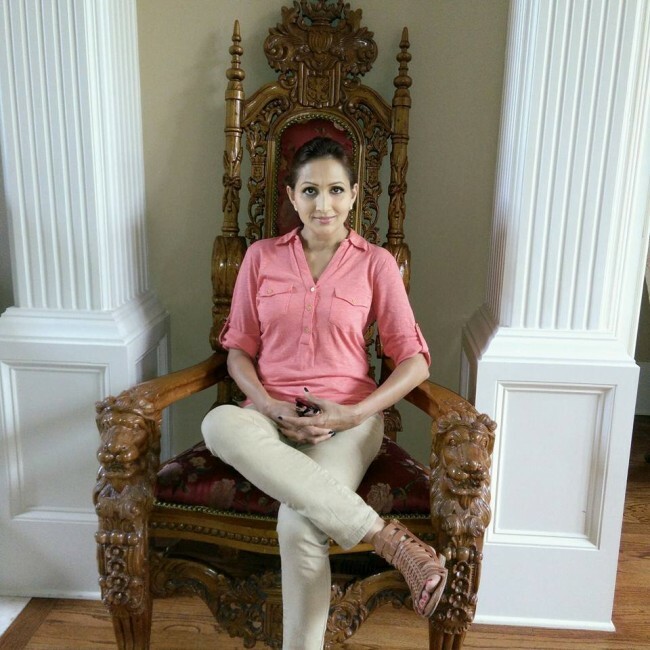 Shaveta Jain, Brand Ambassador – Mrs. India International USA, is a former Mrs. India International. She is a pageant coach, an IT professional, and a social activist. She is a Mathematics graduate from Delhi University, an IIT Delhi alumni, a NBHM research candidate from IIT Bombay/Powai and a Computer Science graduate fromUSA. She is a mother of two and is married to Anuj, an IITD alumni and GSU graduate. “If it is to be, it is up to me! I believe that if you really want to do or be something, you have to work hard to make it happen for yourself. Your attitude and efforts are always in your control and it is up to you to make your life happen in a way that suits you. I have been a resident of Atlanta since 1974 and in the insurance and financial services industry for about 25 years. When I joined the industry in 1992, there were no Indian publications in Atlanta and a very limited way to promote your business to the local Indian community. So we launched Khabar in 1992 as a way of helping us promote our businesses as well as other local businesses to the community. Rajesh is an insurance agent, financial planner, singer songwriter and was one of the founding partners of Khabar magazine. 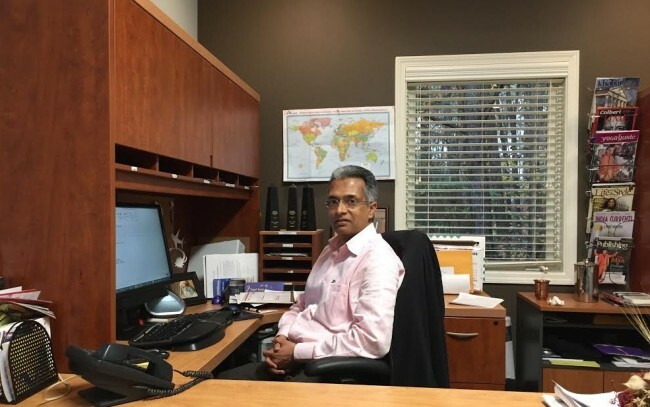 He hosts the Moneywise section of Khabar and lives in Johns Creek with his wife Pari and their two sons, Shalin and Shreyas. “At the CNN International news desk, my role is to manage a certain continent of the world (and gather details on important stories because news can break at any moment of the day. That means working with local affiliates to gather video footage, coordinating with field crews to provide live reports or stories for the newscasts, navigating social media to gather images, and networking with sources for new editorial content. All of these are then funneled to our show producers and digital team so that you can get breaking news on air, on line and on your phone. Archith Seshadri is a journalist at CNN International . Outside of TV news, he is passionate about music and runs a music school called “Studio! Music Academy.” He is also working on his own music album and emcees several cultural events in the community as well as acting projects. “My mother used to make me perform in a weekly program since I was 5. Slowly, my stage fear vanished and theater became a part of my life. To date, I have done around 200 shows, ranging from simple programs to full length, professional plays. It takes 6-9 months to put a play together and it lasts less than 2 hours on the stage! The orchestrated team effort of the backstage crew and onstage artists results in a symphony that takes the audience to a different world. As a producer/director, watching that from the audience is a uniquely exhilarating experience. Syam Yellamraju is a well-known resident of the arts and culture world. He has produced/directed many programs for non-profit organizations globally. For livelihood, Syam works as an executive in the IT industry. Aparna Bharracharyya (R) at the South Asians Leading Together Summit. 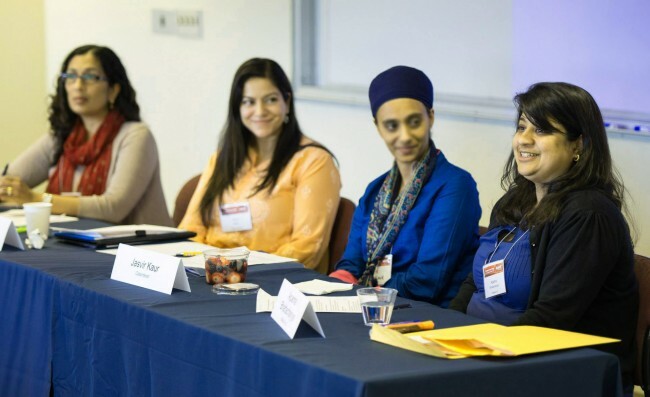 Aparna Bhattacharyya is the Executive Director of Raksha, a non-profit that promotes a stronger and healthier South Asian community through confidential support services, education, and advocacy. Raksha’s annual fundraiser, Ek Shaam Raksha Ke Naam will feature The Indo Pak Coalition, a South Asian inspired jazz band, at the Rialto Center for the Arts on October 3. Nitish Sood (R) with WTFC Atlanta chapter president, Rohan Raina. “Last year, my brother Aditya and I had to accompany our parents to the shopping mall. Instead of going into the store, we chose to hang out. We noticed a homeless lady wrapped in a threadbare shawl tending all her belongings in a broken Target cart sitting near the main entrance. It was a cold winter day. Nobody likes to confront human suffering. In the first 30 minutes, we saw such a wide range of emotions. Some people wrinkled their faces in disgust with no effort to hide their revulsion as they walked past. A child walking with her mom got interested and wanted to stop and look. The mother tugged her impatiently simultaneously admonishing the child to ‘keep away’ from ‘such people’. We saw a man pull out some coins from his pocket and throw them in the woman’s direction. One coin landed near her and another rolled towards the roadside drain. To our surprise, the most common reaction was inattention, obliviousness and disregard! Most shoppers just did not notice the distressed lady and her soft pleas for help, as they distractedly scurried fast towards their cars clutching their numerous shopping bags to escape the cold. This apathy toward the homeless people really disturbed us. For a second, close your eyes. Imagine trying to function without food in your stomach or a place to sleep at night. Imagine being afraid to go home because the last time you went, you were kicked and beaten down by your dad- and you don’t think you can take that anymore. Misunderstood, frightened and alone, at-risk youth often make poor decisions that can lead to devastating consequences for themselves, and society. Drugs, alcohol, gang involvement and sexual exploitation are too often, more easily accessible than social support. Experiencing homelessness leads to a downward spiral into health issues, emotional or behavioral problems, trauma and desperation, developmental delays, and calamitous risk for physical abuse, sexual exploitation, and death. The unfortunate part is that this outcome can be prevented in so many cases by simple acts of kindness and assistance from the general community -– and that is the goal of Working Together for Change! 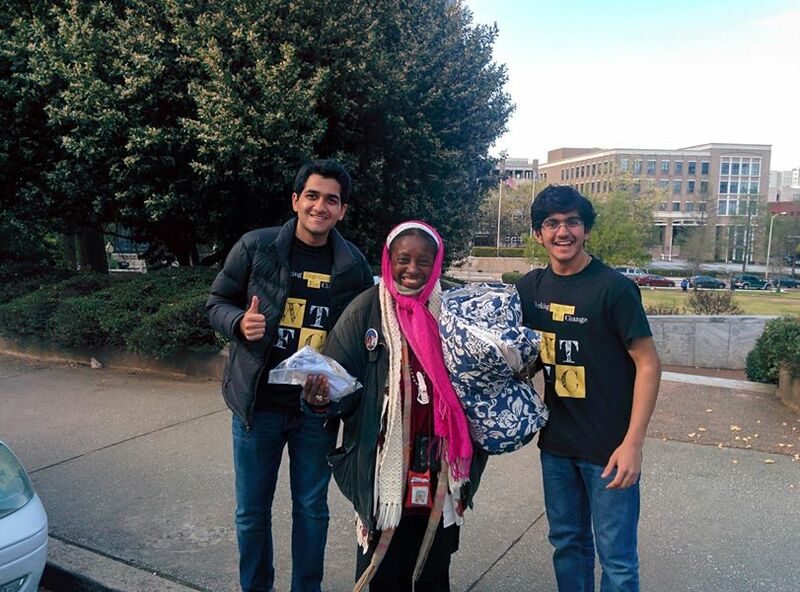 Nitish & Aditya Sood of Alpharetta High School started the nonprofit “Working Together For Change” aimed at ending homelessness. Initially started with a small group of friends collecting stuff in old backpacks lying at home, the popularity of the program spread in a very short time and now has students from about 10 schools, 5 colleges and many partner organizations such as United Way. The nonprofit is 501c3 certified making donations tax deductible and allows students to gain volunteer hours through a variety of programs. The approach is effective, evidenced not only by the hundreds of homeless served but also by the chapters started in Macon,Atlanta, and Cupertino. 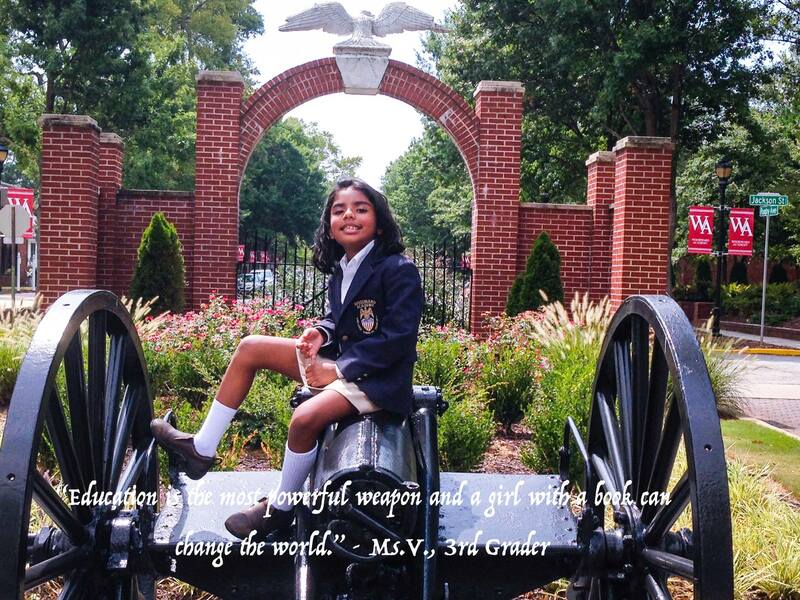 Seven-year-old Ms V skipped a grade to start 3rd grade this week (August 2015). She is an award winning actress and the host of international political satire shows on FBTV. 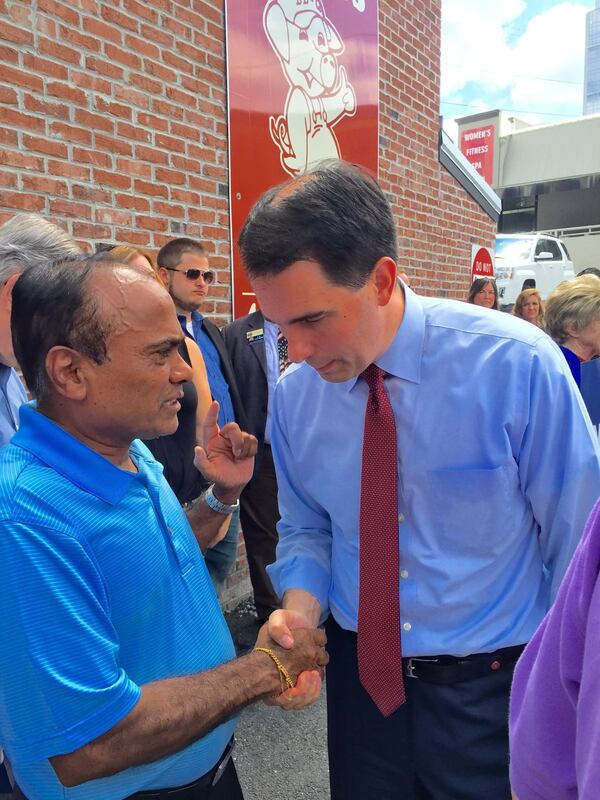 Narender Reddy is a realtor by profession and a Republican and community activist by passion. He was appointed by Governor Nathan Deal to the board of Georgia Regional Transportation Authority (GRTA). 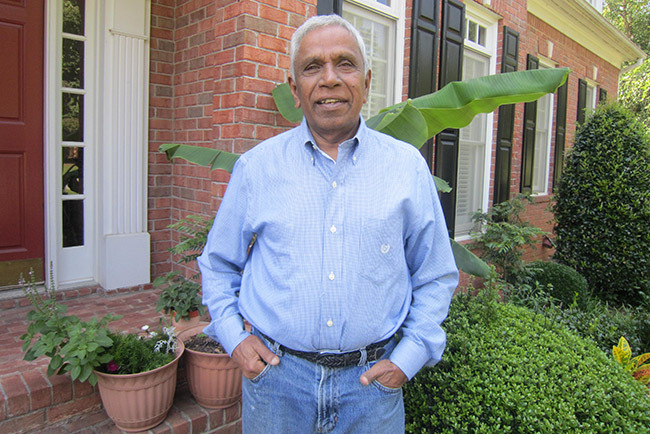 He is also a former president of the Hindu Temple of Atlanta, Riverdale. My love for animals and wildlife began during my student days. I am a veterinary graduate and as a part of our curriculum, I happened to visit the Hyderabad Zoo, where I had theopportunity to see the lions at the Lion safari. The visit instantly sparked an interest in wildlife. To learn more, I began watching movies like Out Of Africa” and The Gods Must be Crazy. Later, I began thinking about making a trip to Africa. I like traveling, adventures, and learning about other cultures. I have been to Kenya, Tanzania, Zimbabwe and Botswana and visited about a dozen wildlife parks. My next dream trip is to Namibia. I am also an avid watcher of the National Geographic and Travel Channel for programs like The Great Migration of Masai Mara in Kenya and for shows like Africa’s Deadliest, Surviving the Serengeti, Blood Rivals: Lions vs Buffaloes” etc..
To indulge in my passion for wild life, I began exploring the enchanting world of photography, especially wildlife photography. Wild life is not restricted to just animals. Nature reveals so many secrets and teaches so many fascinating things. It gives me immense pleasure to just watch the animals and birds and their natural behavior in the wild. GV Rao is a software professional. 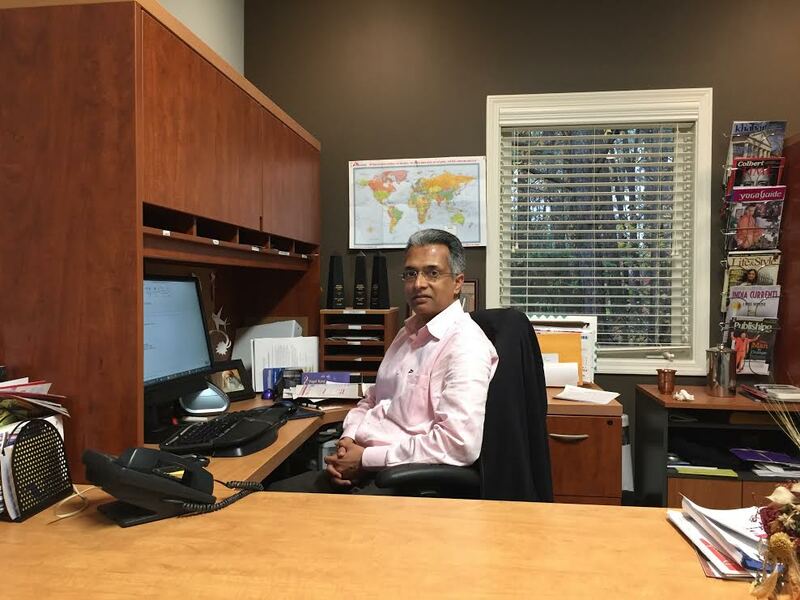 He lives in Alpharetta with his wife Sunitha and two beautiful daughters, Neha and Nayana. “Last September, I had the great fortune of being a stem cell donor for a young adult with leukemia. Then, I was told that the recipient is overseas and overseas transplant centers’ policies vary and I may never know of the status or the identity of the recipient. Hence I had no expectations going in. 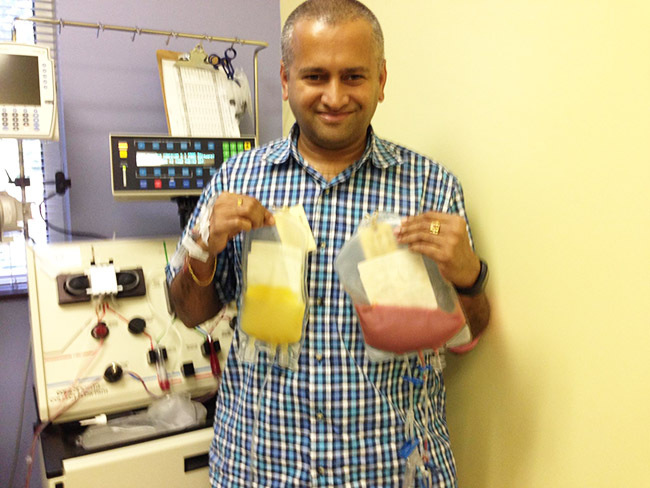 All I could do was what was in my control, which was to donate my stem cells. Beyond that, as much as I wished for the health and recovery of the recipient, I did not get emotionally attached to the outcome. Recently, The National Marrow Donor Program reached out to inform me that the recipient has recovered very well and is now getting back to leading a normal life. A true testament to the power of life saving advances in medicine! The multi-faceted Madhav Durbha is constantly setting new goals and challenges for himself. 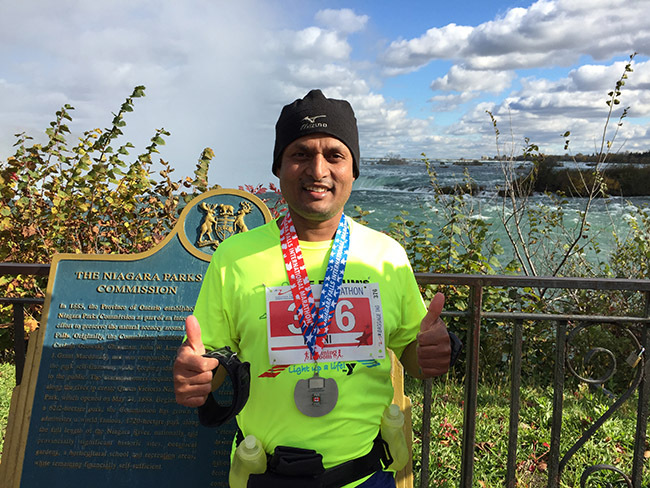 His recently co-authored the book “Supply Chain for Dummies” and ran his first half-marathon. 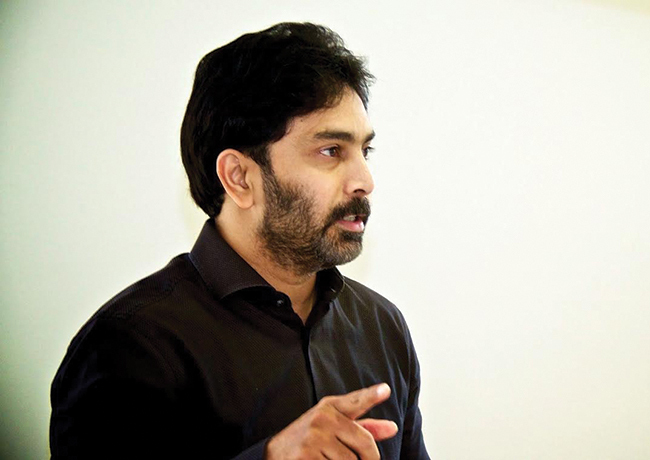 A software executive by profession, he is associated with several non-profits and supports numerous causes. He lives in Suwanee, GA with his wife Dr. Aparna and two beautiful children. 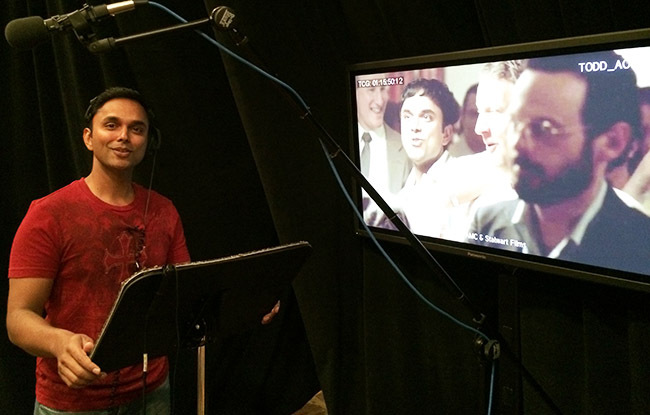 “Born in Mumbai, I was already infected with the Bollywood Bug. As a kid, I watched copious amounts of Hindi films and intellectual offerings like “Naye Naghme Vol XII” on grainy VHS tapes. I worshiped Amitabh, wanted to beat up Amrish Puri, dance like Govinda, and sing like Rafi (my Dad named me after Mohammed Rafi, so I felt the pressure). Throughout school and college, I danced and acted on stage. The singing on the other hand just developed through years of training in the “Bathroom Gharana”. So my 3-in-1 cassata talent is really just a messy falooda. “My love affair with cameras began when I was only 14 because of my close association with the movie industry (my uncle is a movie director). I remember watching the Olympics on TV and being fascinated with all that went into a mammoth production like that. I wanted to get there one day! The passion developed even more after I moved to Atlanta and joined the media division of PricewaterhouseCoopers. Today, Bytegraph Events, the company I founded 11 years ago, has three divisions (social, corporate and conventions) and caters to an audience of ½ a million every year. I am living my dream. 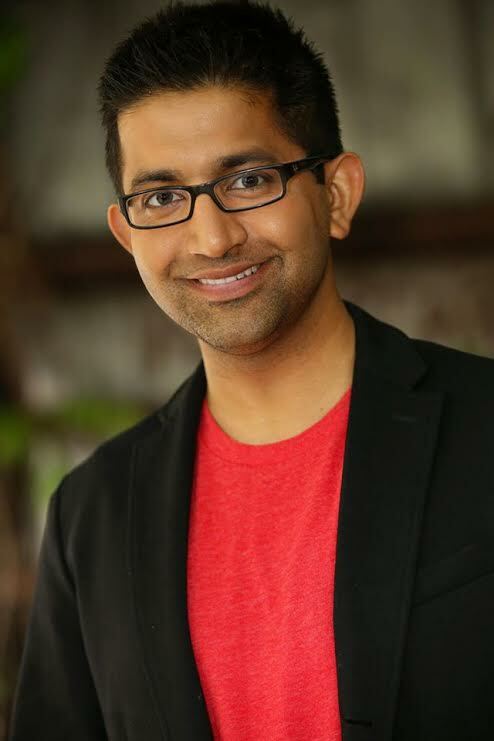 Prashant Kollipara’s Bytegraph Events has offices in Atlanta, Dallas and San Francisco; two more are slated to open soon in Chicago and Washington DC. “I was first published at the age of 7 inHong Kong’s leading youth newspaper, the ‘South China Morning Post’. I had submitted a drawing of a panda, and three weeks later I saw my name in print beside the panda! A quiet and shy girl, I felt as if I’d been heard. The desire to see my name in print again encouraged me to submit more drawings, poems, and enter writing competitions. When I came 2nd in an Easter competition that’s when the writing bug bit, and there’s been no turning back, since. I write from 10 am, take a lunch-break from my characters, and then write until 5:30 or 6pm. ‘Write’ can mean anything, from revisions, edits, re-drafts of the manuscript, to freelance assignments. I’m also a wife and mom to 2 boys – high-school and university sophomores, and still juggle the work-life balance. Dance is divine. I have been dancing for 25 years and it has given me everything I could ever ask for. I owe this all to my Guru Sri G. Srinivas who mentored me for 12 years. Chiranjeevi and Prabhu Deva are my biggest inspirations in this field. Teaching kids and adults to dance gives me immense satisfaction. 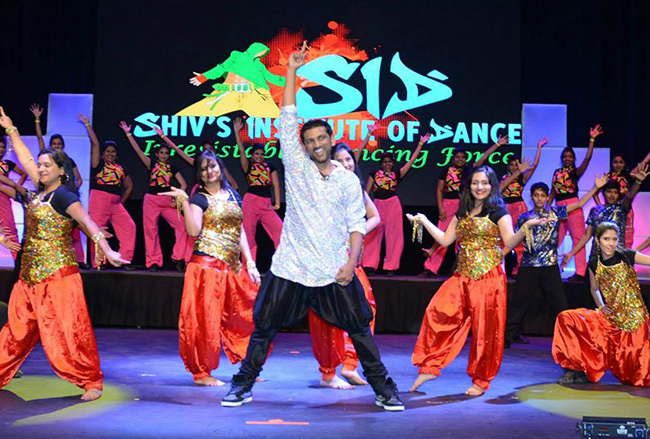 Prior to opening his popular dance school Shiv’s Institute of Dance in Atlanta, Shiva Turlapati was a dancer and choreographer in Tollywood (the Telugu movie industry). He got his first break as a choreographer in the movie ‘Jai’ directed and produced by Teja. “The fun part of my job is that I get to meet different kinds of people all the time. Also, I get to know what’s happening around town. 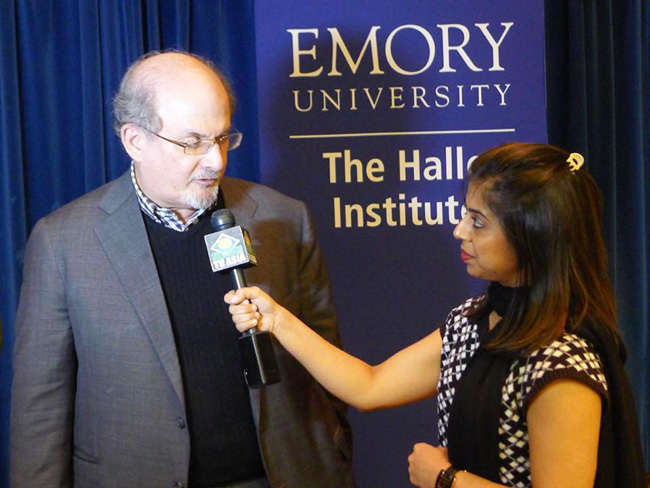 I have interviewed a lot of people in the five years that I have been with TV Asia, but two interviews really stand out in my mind- Javed Akhtar and Salman Rushdie. Besides giving intellectual, in-depth answers to my questions, they were both also very witty. 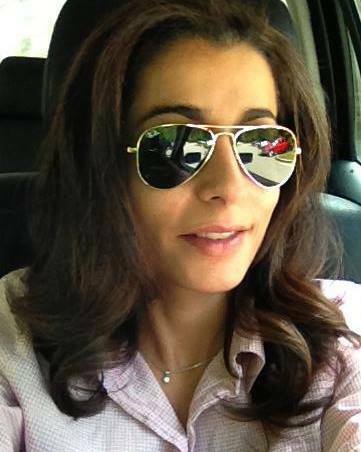 Anjali Chhabria is an Atlanta based freelance anchor and editor for TV Asia. Last year, Swacch Devalaya International (SDI), the campaign I launched in 2006, went viral locally with the support of community members, organizations and media like NRI Pulse and TV Asia. The awareness has gone up considerably since then. Many people credit SDI for providing the inspiration. There is hope for Swacch Devalaya as can be seen at temples. However, the campaign is still at infancy stage, brittle and limited to Atlanta. Some temples have ignored the initiative of SDI to discuss the 5 s in their temples. Devotees should follow the rules mentioned in our scriptures as to cleanliness as well as the niyama prescribed in yoga, now celebrated with pomp during the International Day of Yoga. The temples should provide infrastructure, lay down rules, display signs and enforce it. I hope our message will reach spiritual leaders world-wide, the leadership in India and the Swacch Bharat team. Nate Natesan is a business management specialist, innovator, student of Vedanta, tennis instructor and author of insights into tennis and messages from the Upanishad.